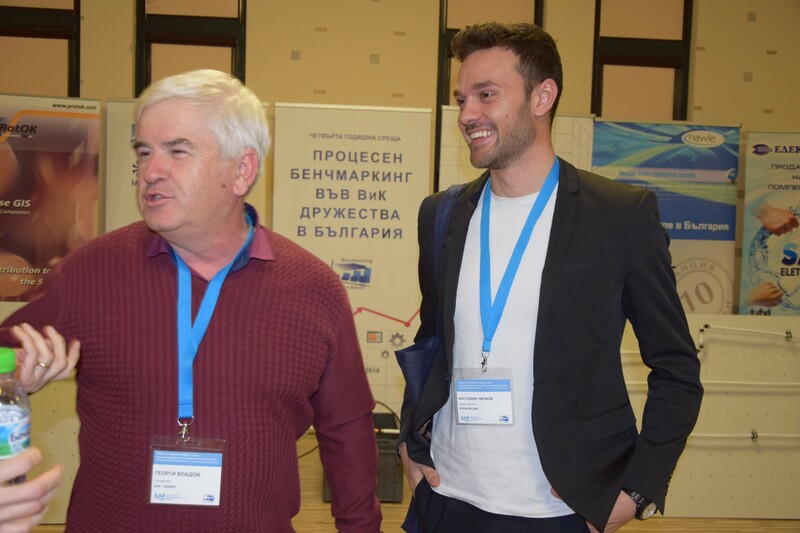 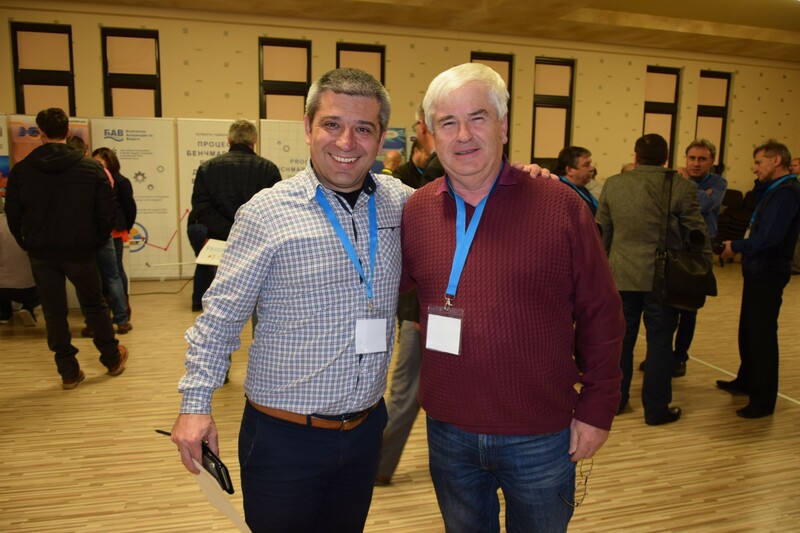 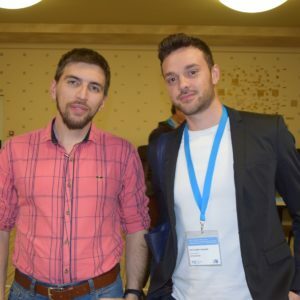 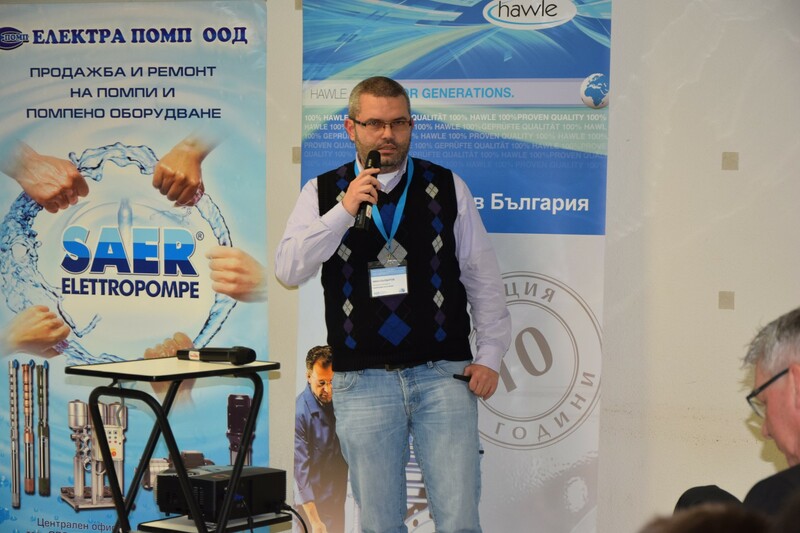 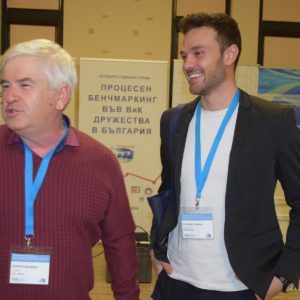 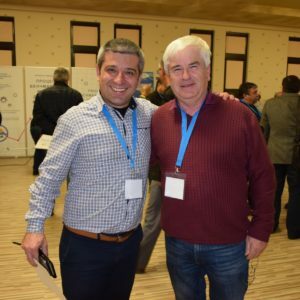 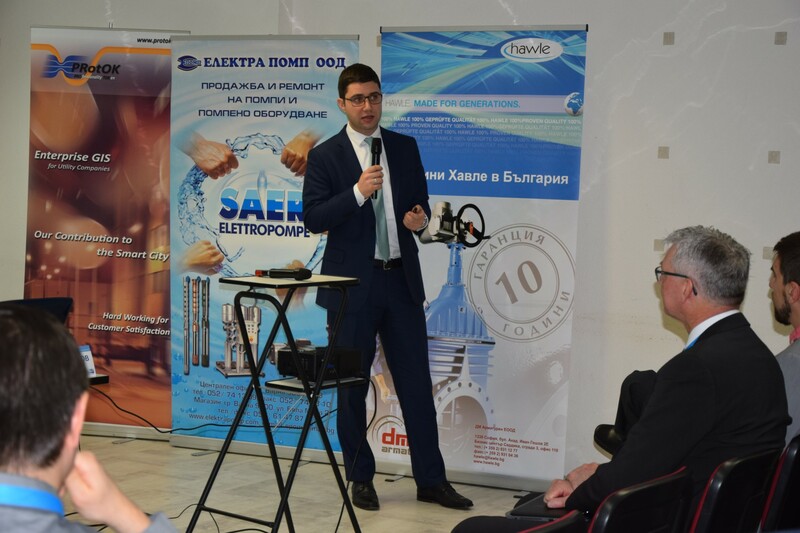 For fourth consecutive year Bulgarian Water Association (BWA) with President – Eng. 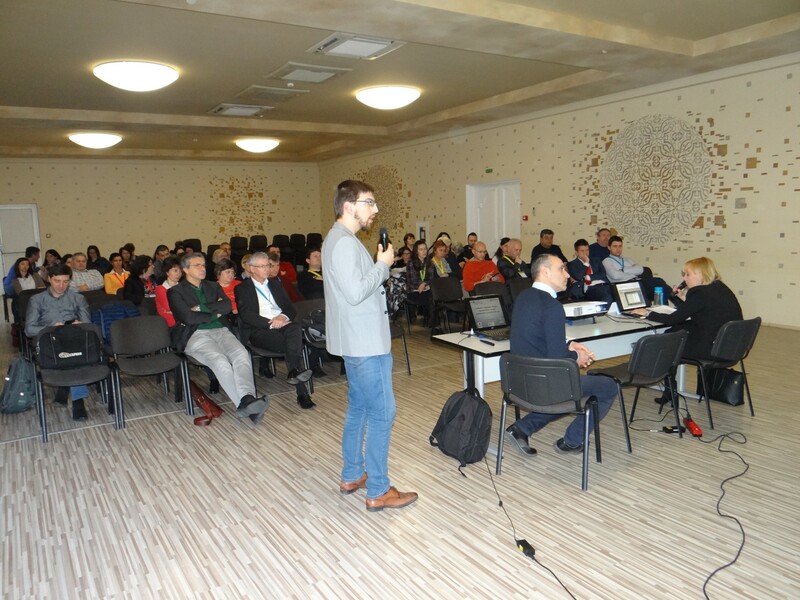 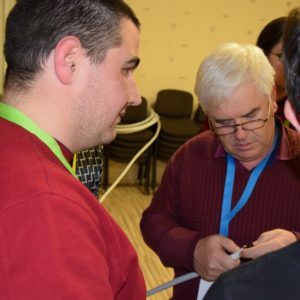 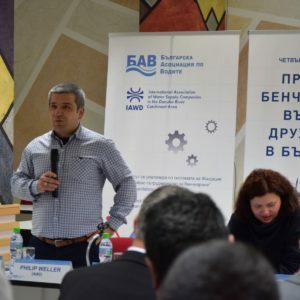 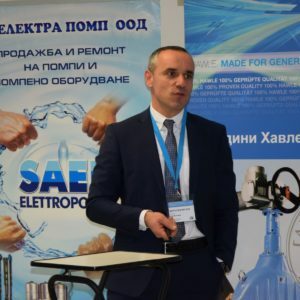 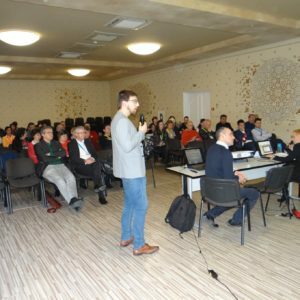 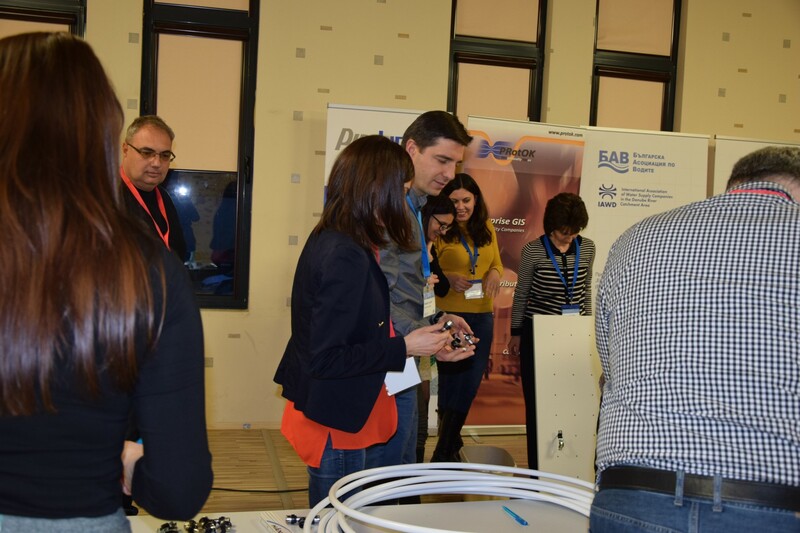 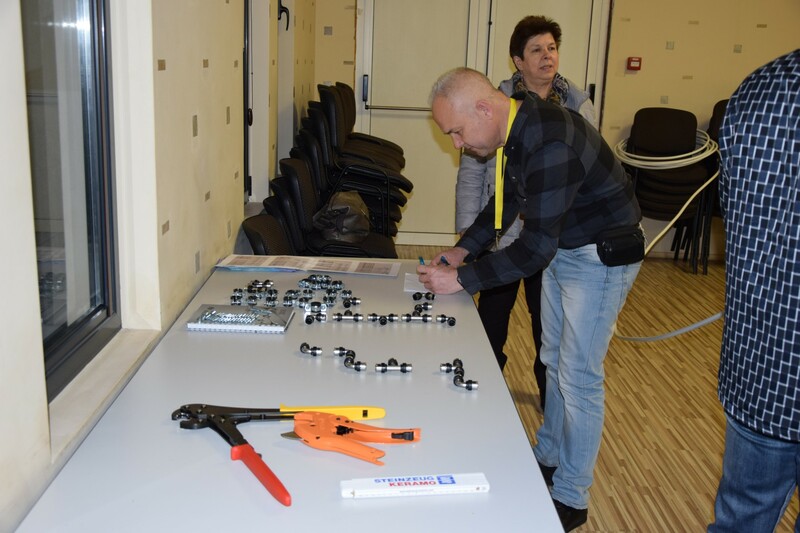 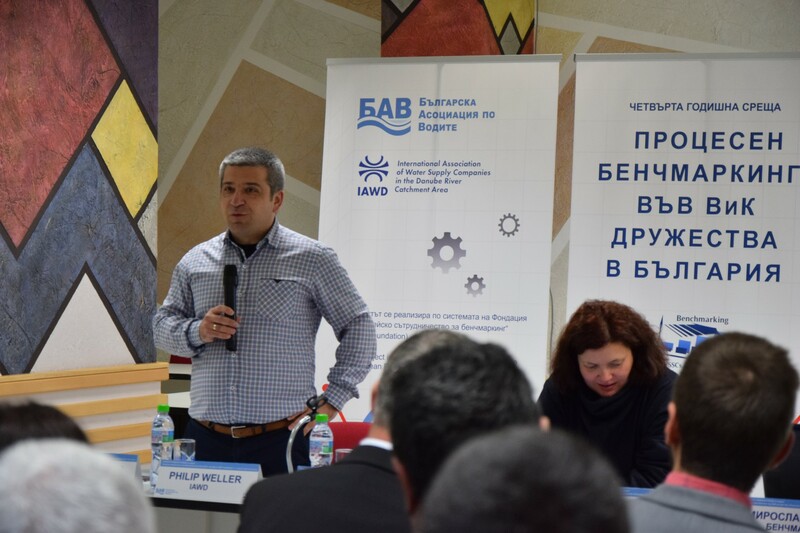 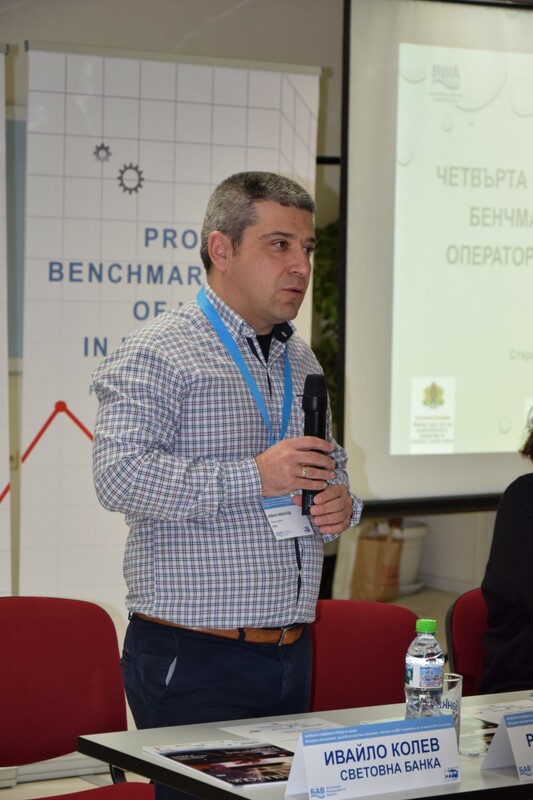 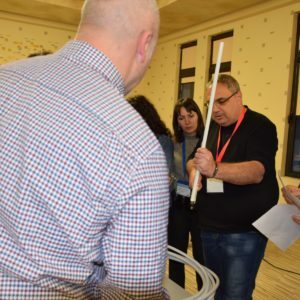 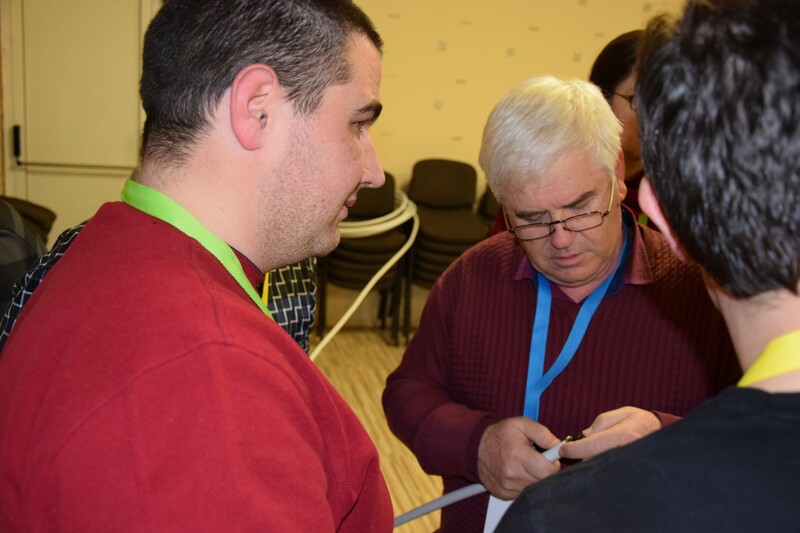 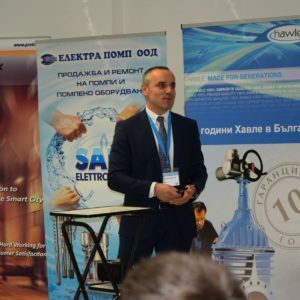 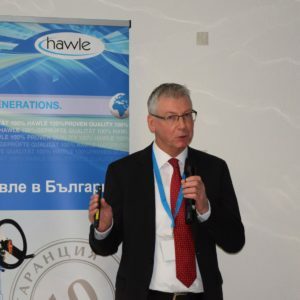 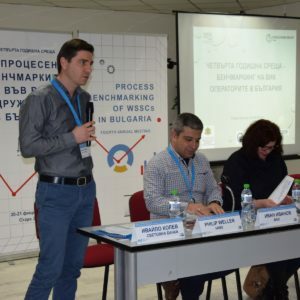 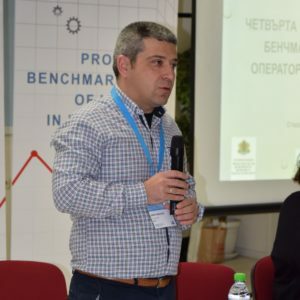 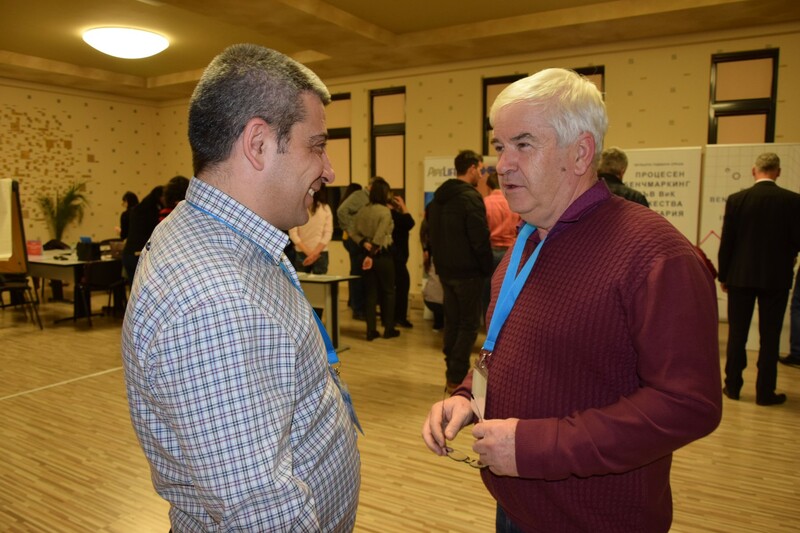 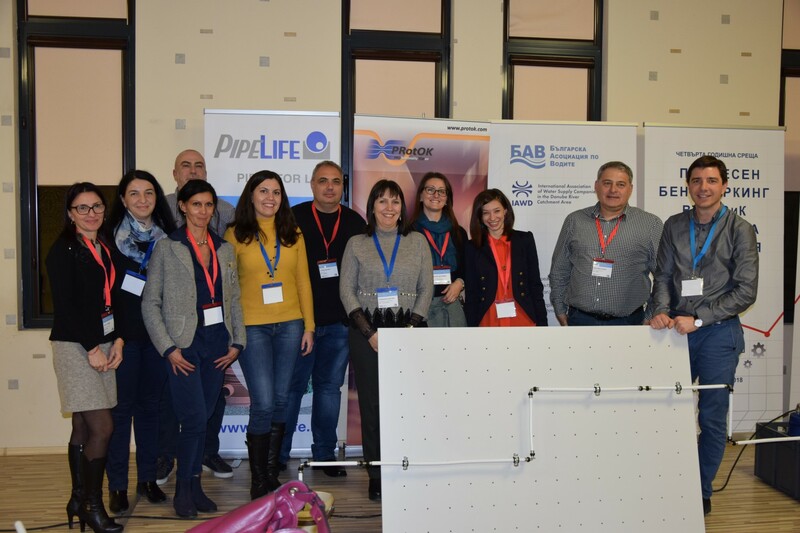 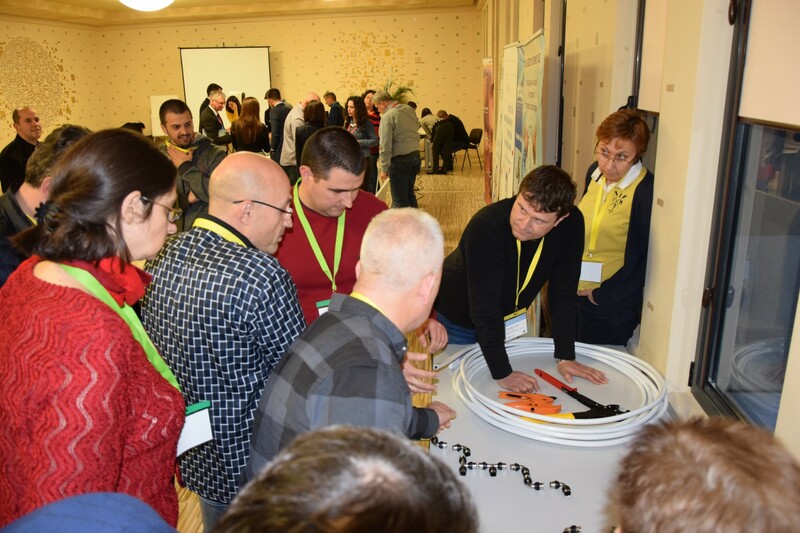 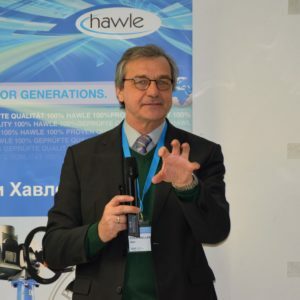 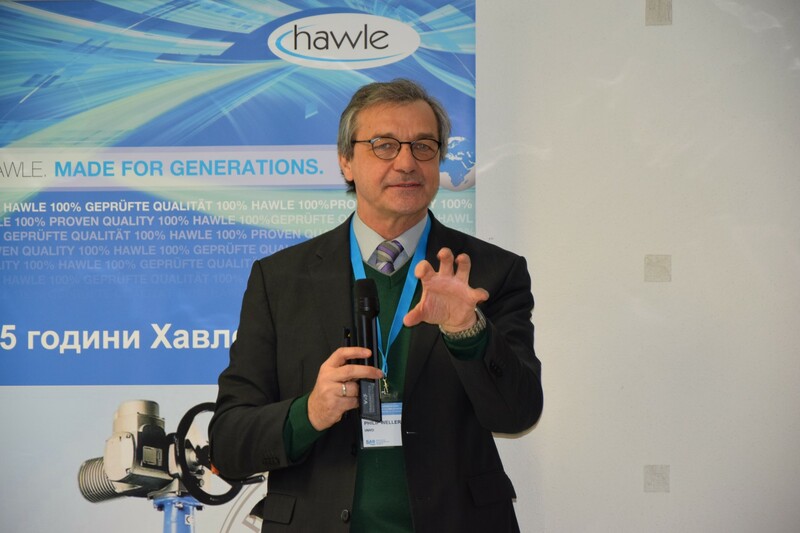 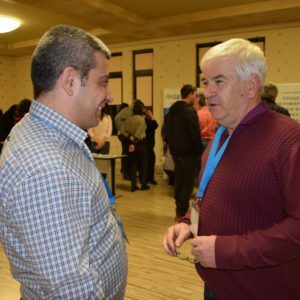 Ivan Ivanov, organised fourth annual meeting under project „Process Benchmarking for Bulgarian WSS utilities“ with the system of European Benchmarking Co-operation (EBC) Foundation. 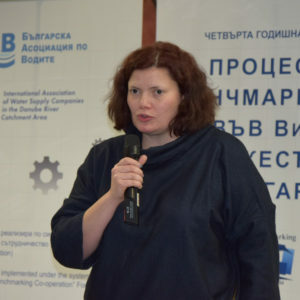 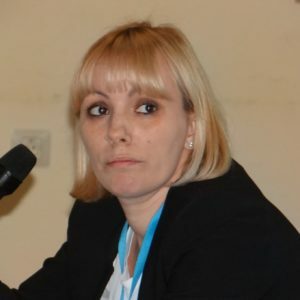 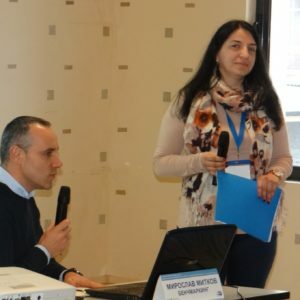 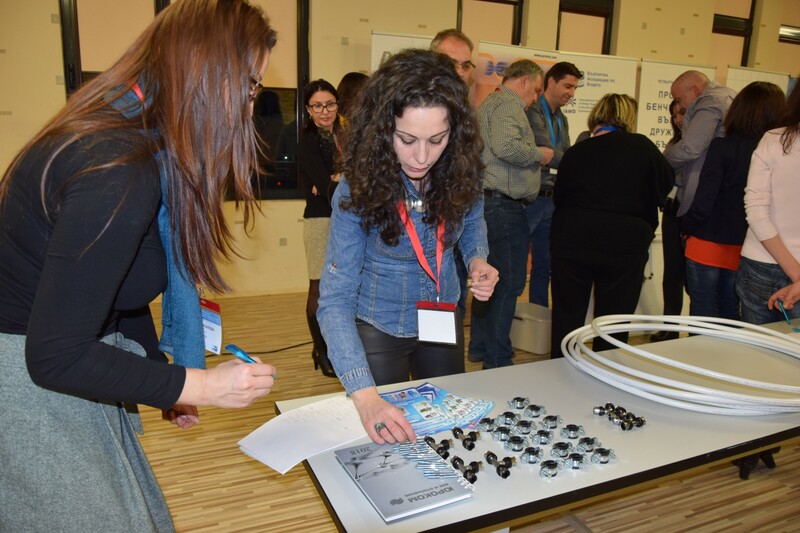 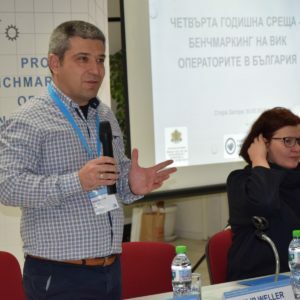 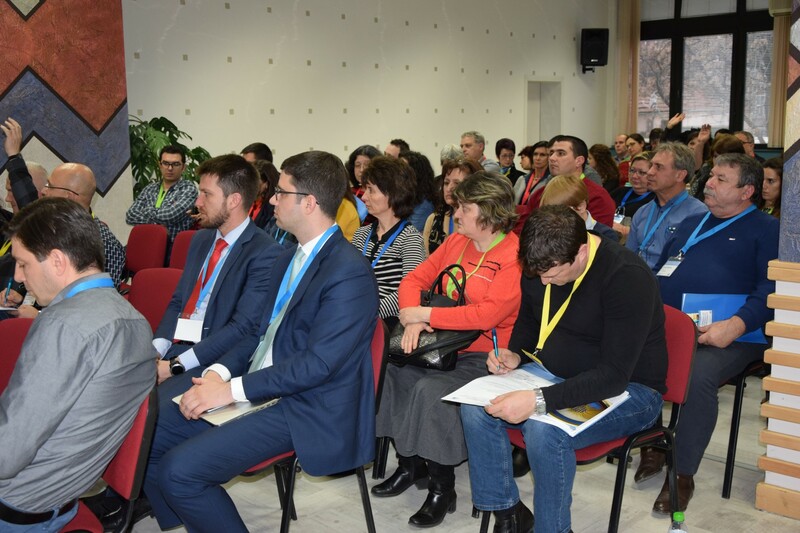 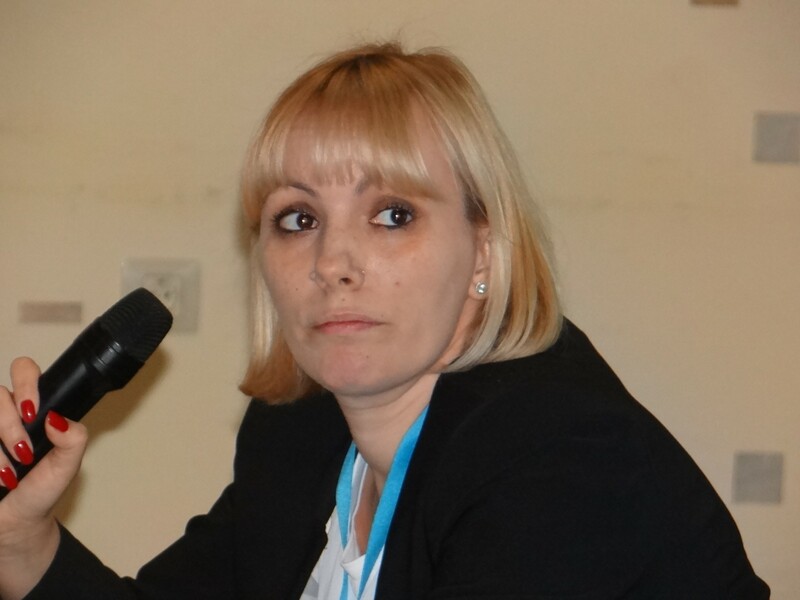 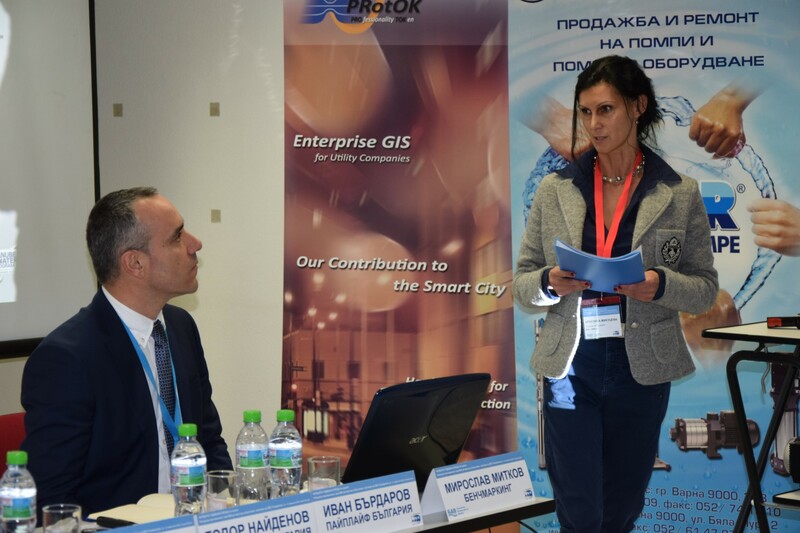 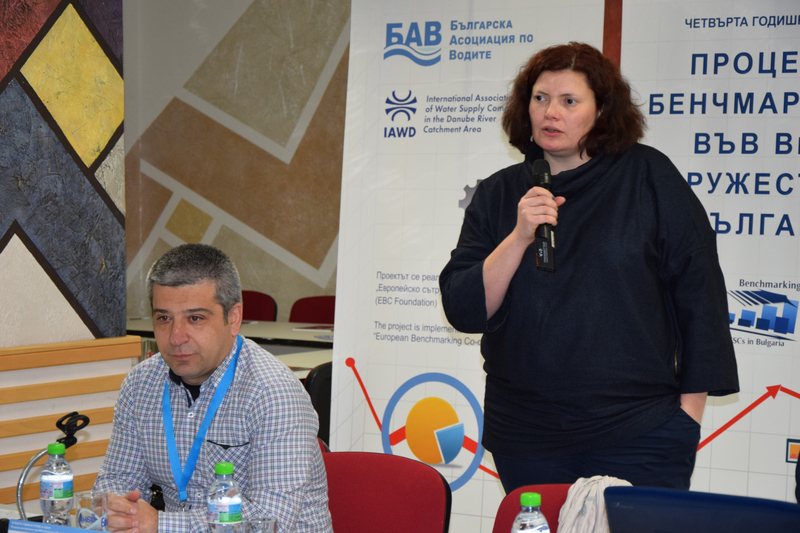 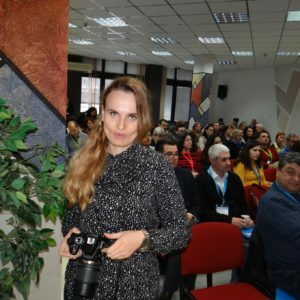 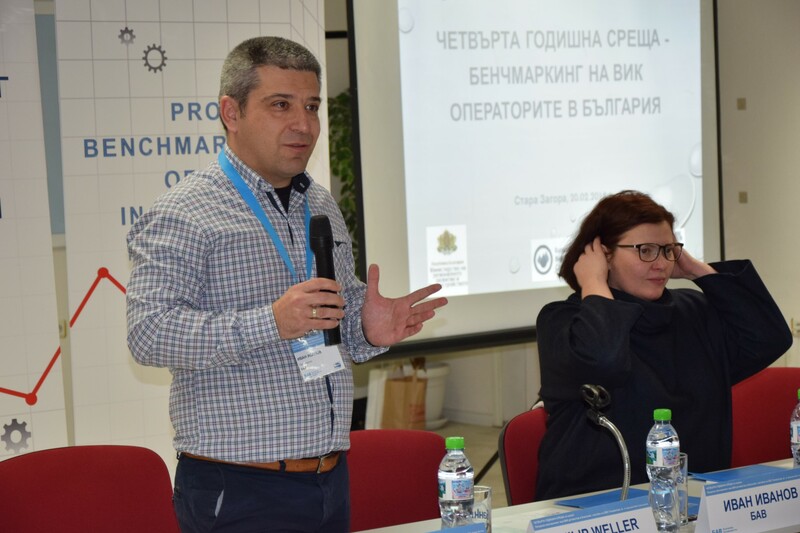 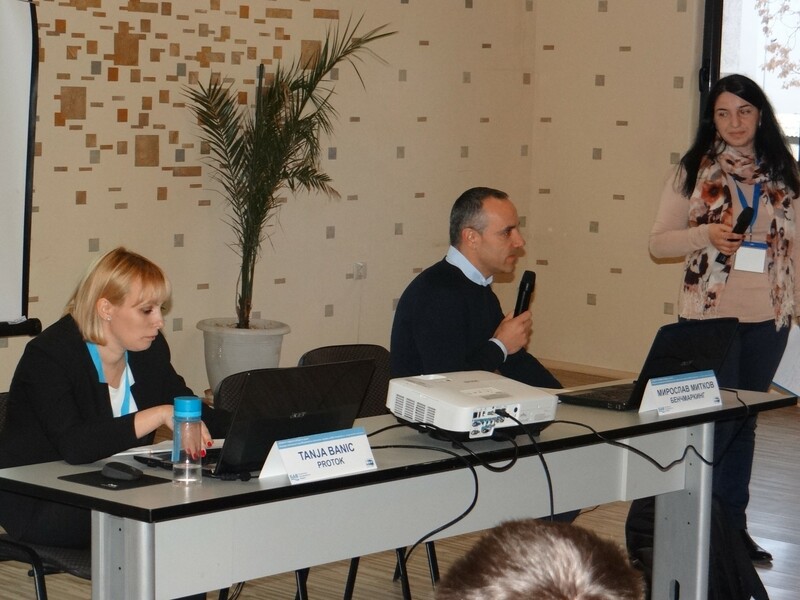 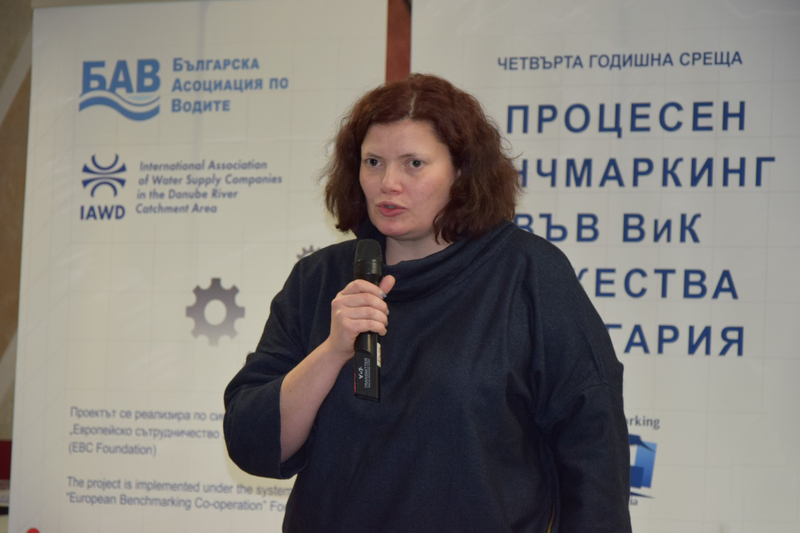 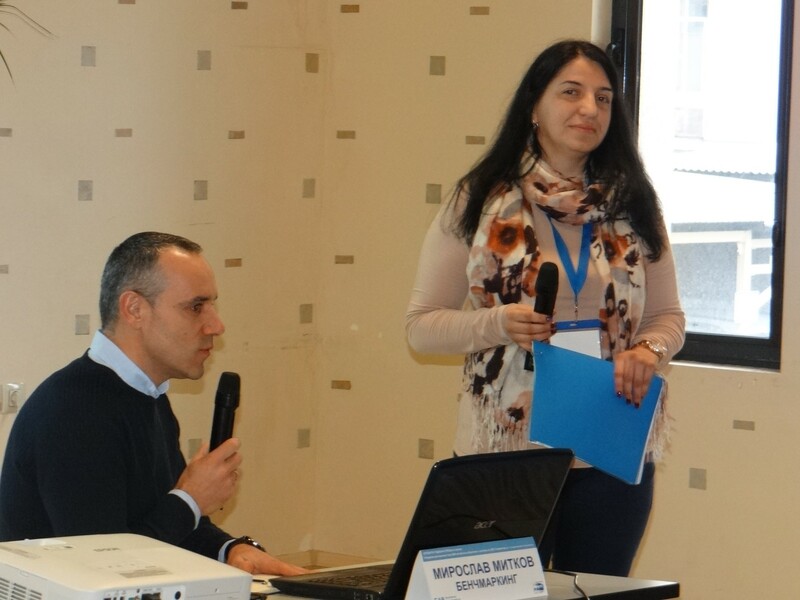 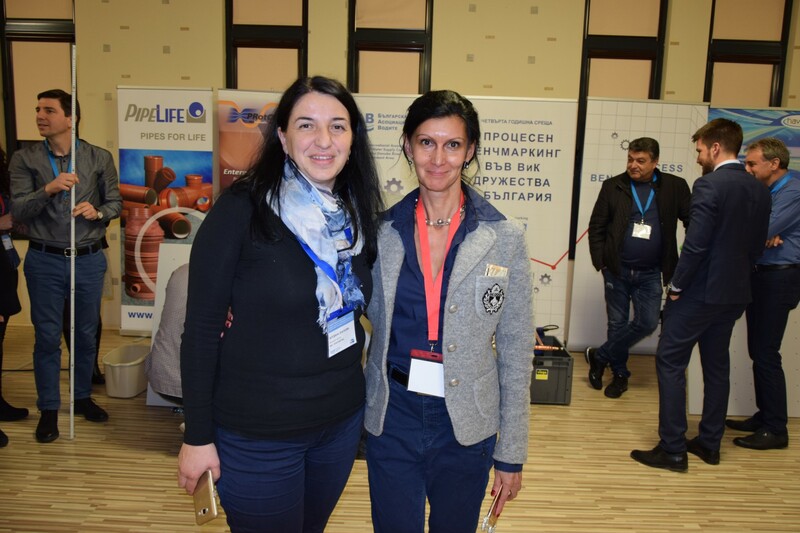 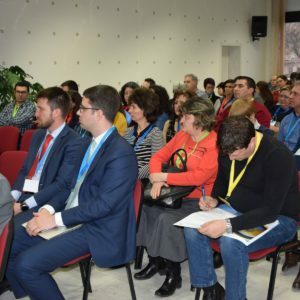 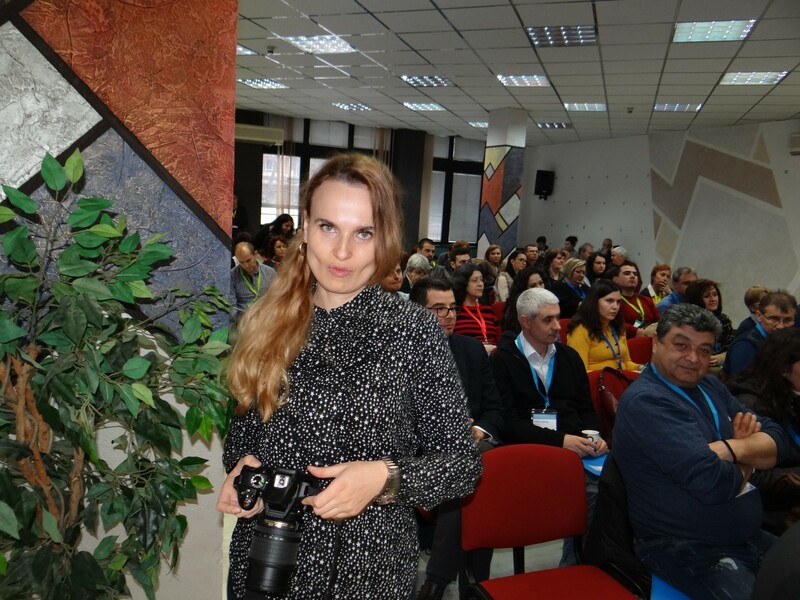 Malina Krumova, Deputy Minister of Regional Development and Public Works (MRDPW) opened the forum that was conducted during 20 and 21 February 2018 in Stara Zagora, Bulgaria. 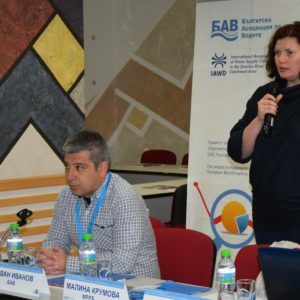 Apart from 11 participating in the project WSS utilities part of the work meeting were also Philip Weller from The International Association Of Water Supply Companies In The Danube River Catchment Area (IAWD) and Peter Dane from EBC Foundation, Ivaylo Kolev from World Bank, representatives of the MRDPW – Ivanka Yakimova from WSS Directorate and Nikolay Iliev from Commercial entities and concessions, representatives from WSS operators outside the project, specialised companies from the water sector, Miroslav Mitkov – benchmarking expert. 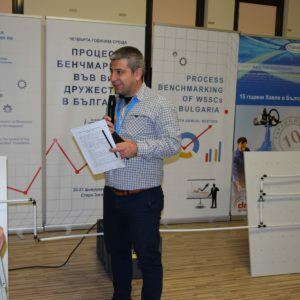 Review and discussed during the meeting were basic results from benchmarking data of WSS utilities, key areas, connected to the data, regulatory requirements towards WSS operators regarding registry and database and others. 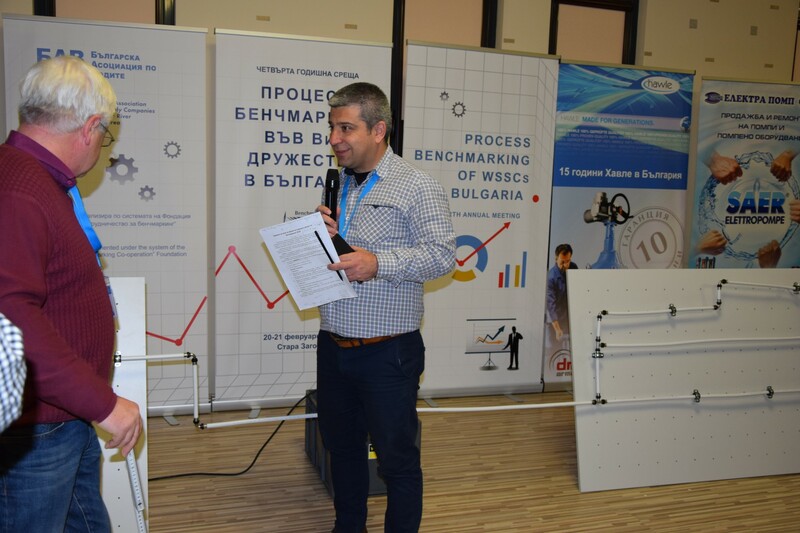 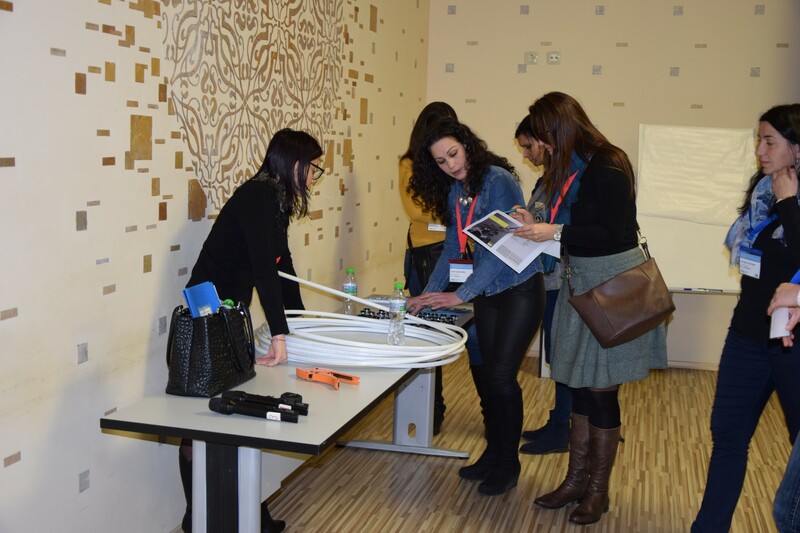 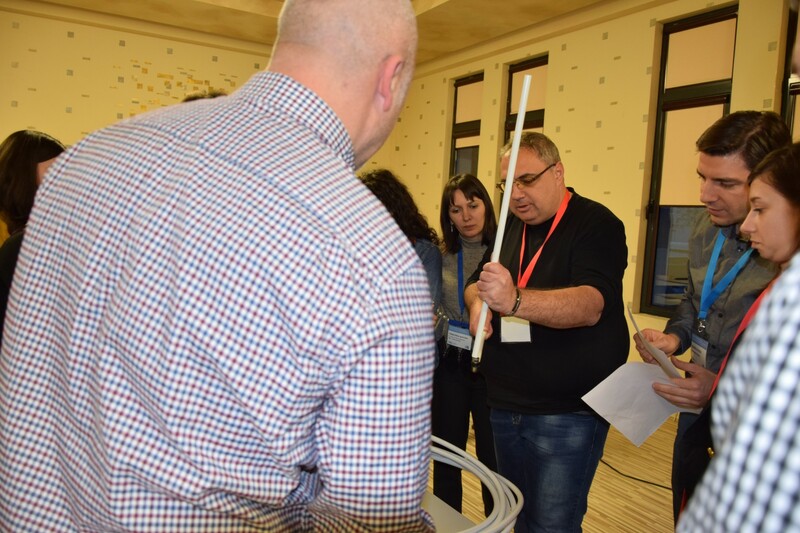 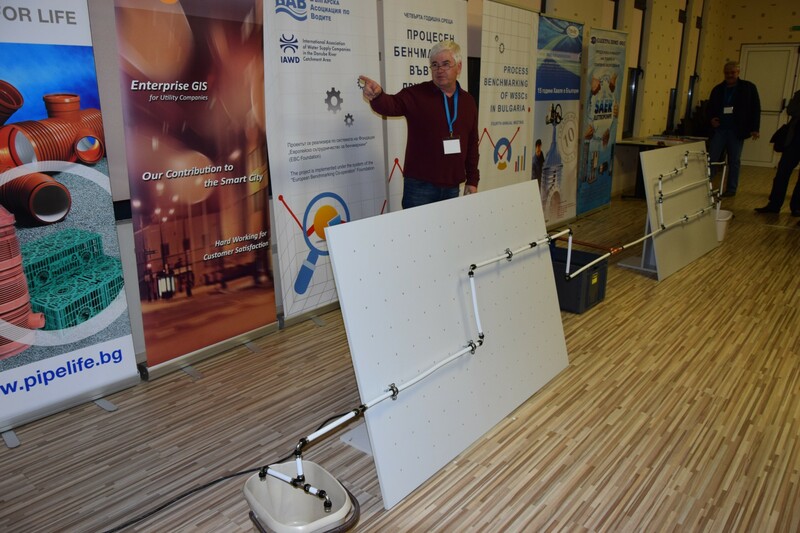 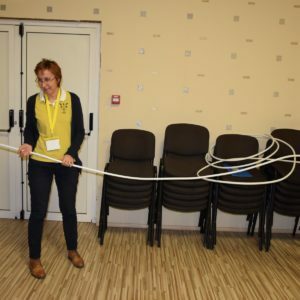 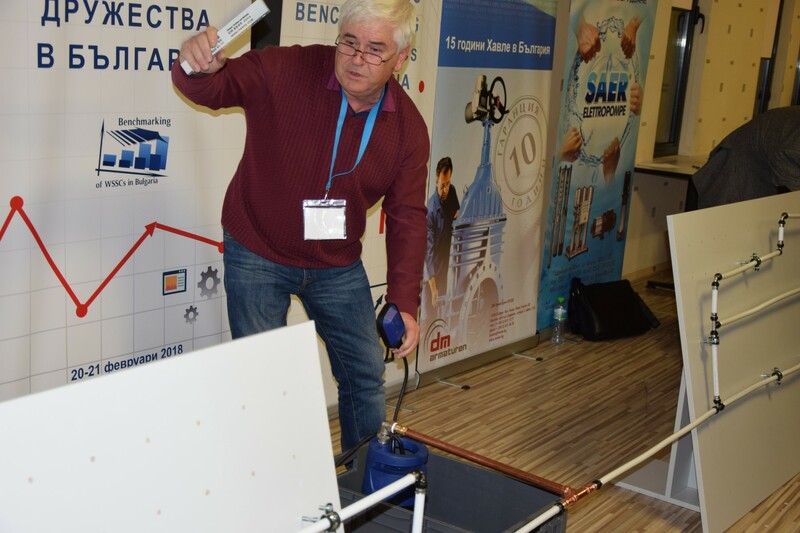 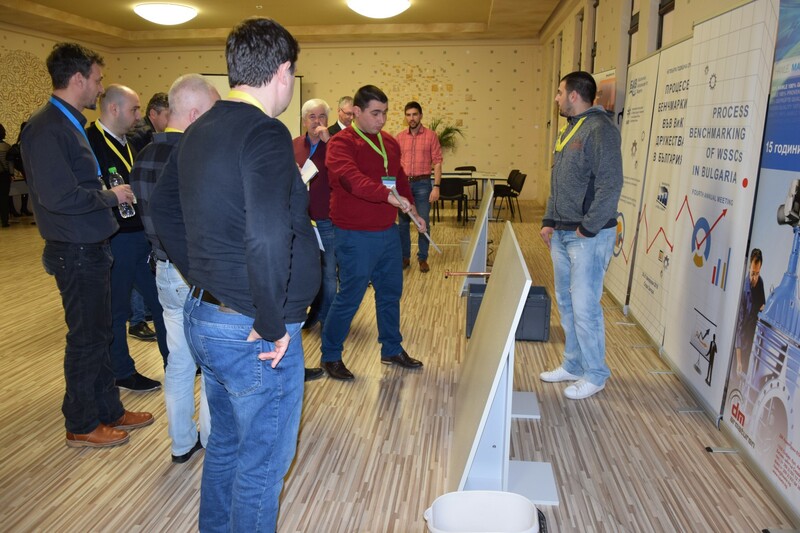 In the seminar part of the forum the participants from WSS utilities were divided into four expert groups and discussed the following topics: Commercial and financial efficiency; Water resources efficient usage; Waste water collection and treatment; Energy efficiency. 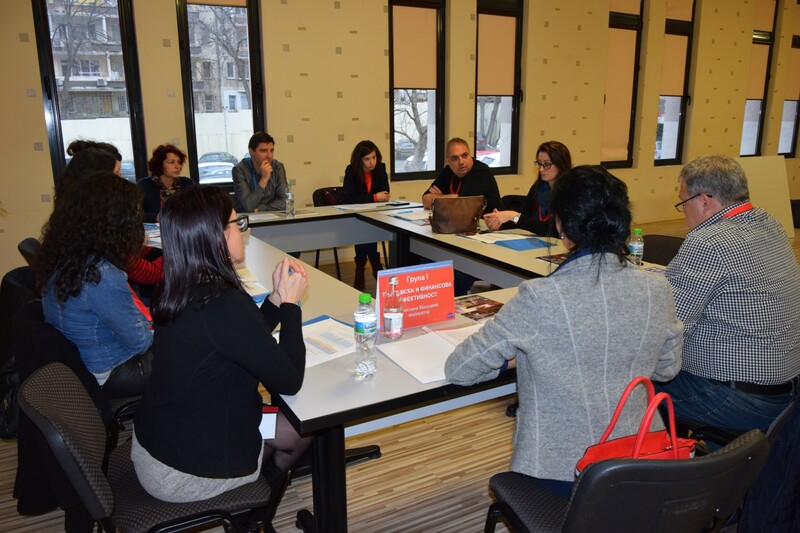 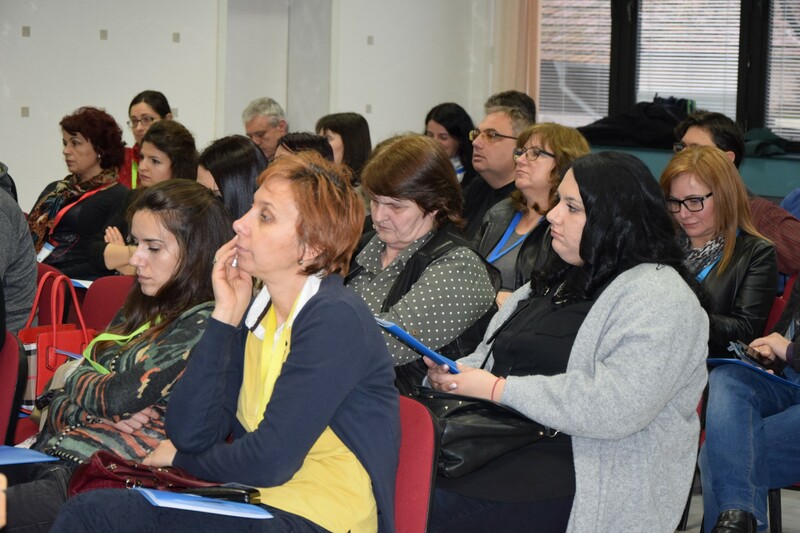 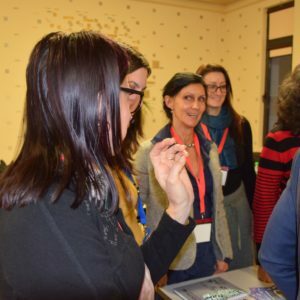 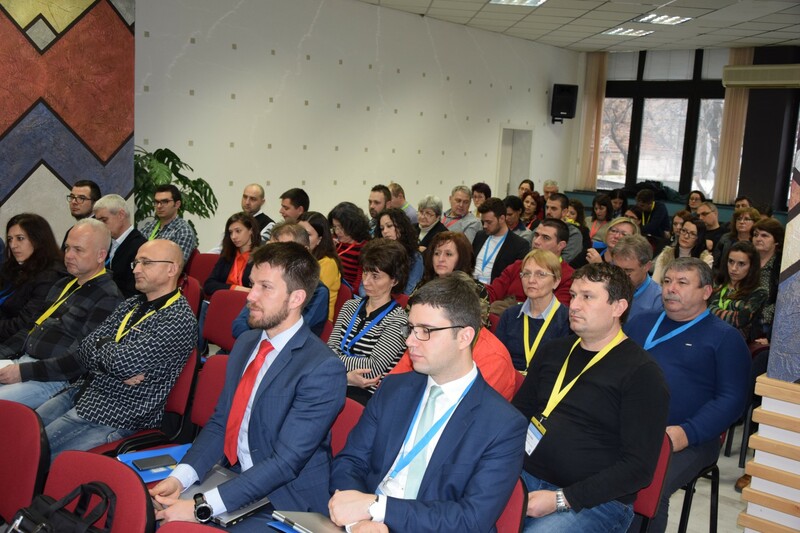 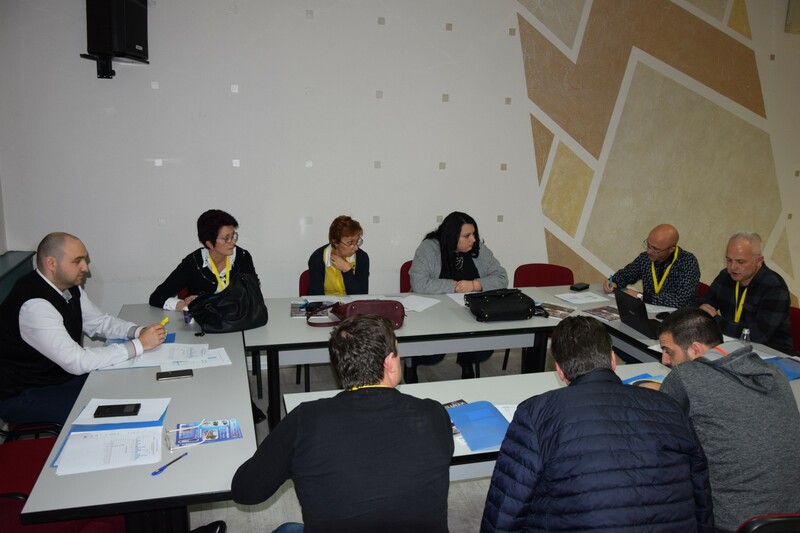 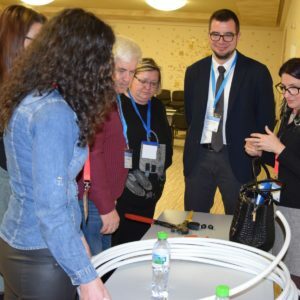 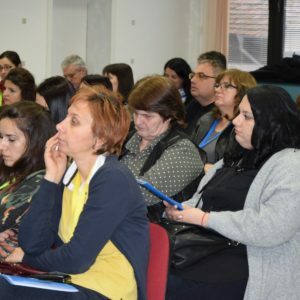 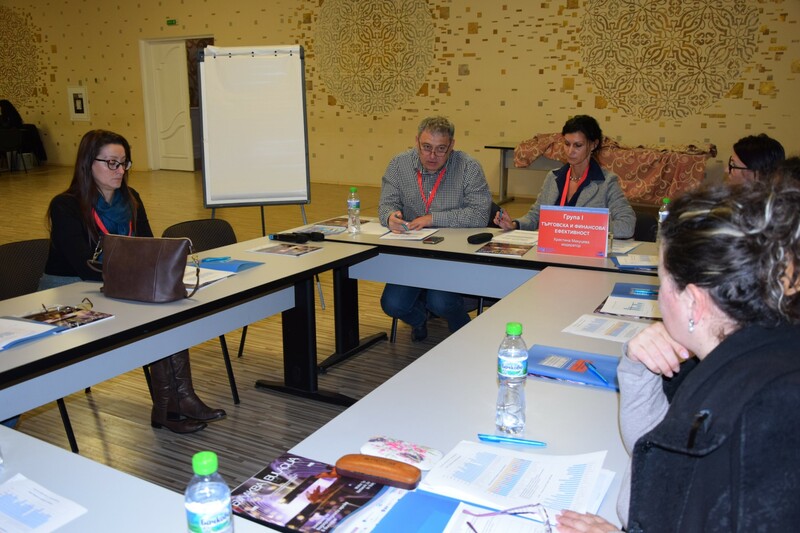 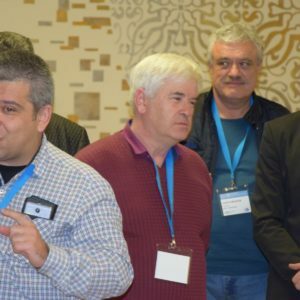 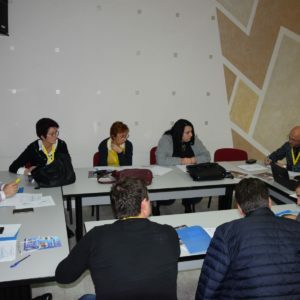 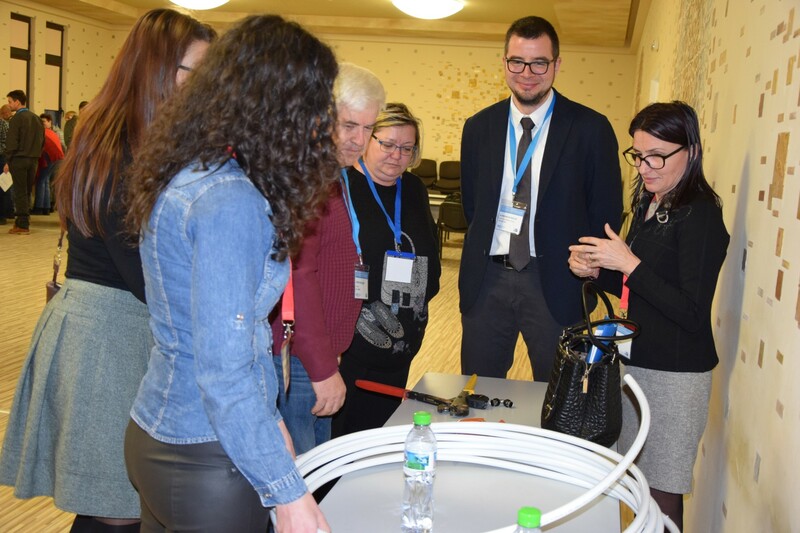 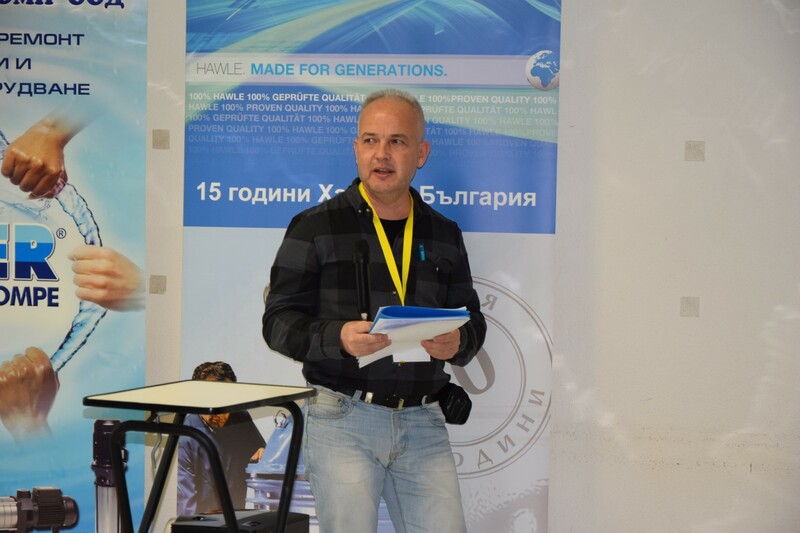 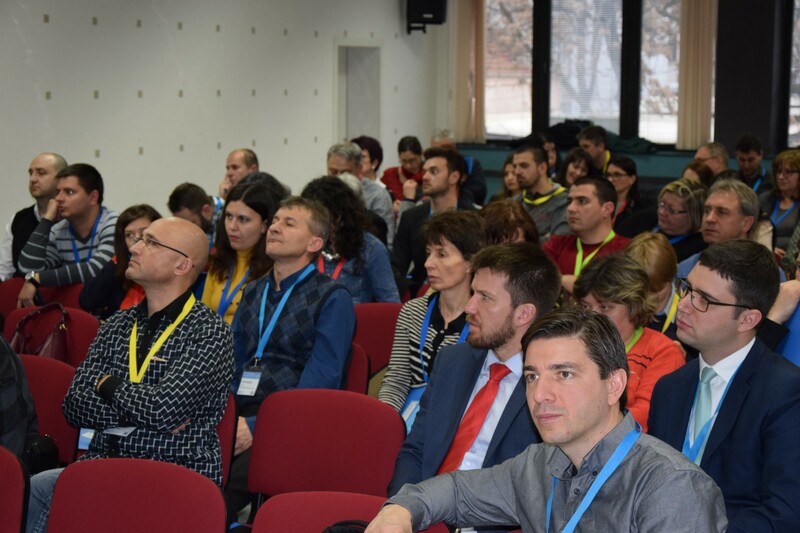 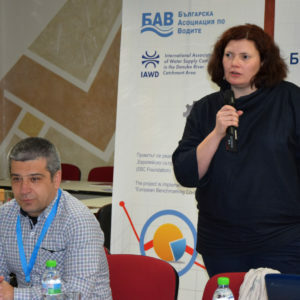 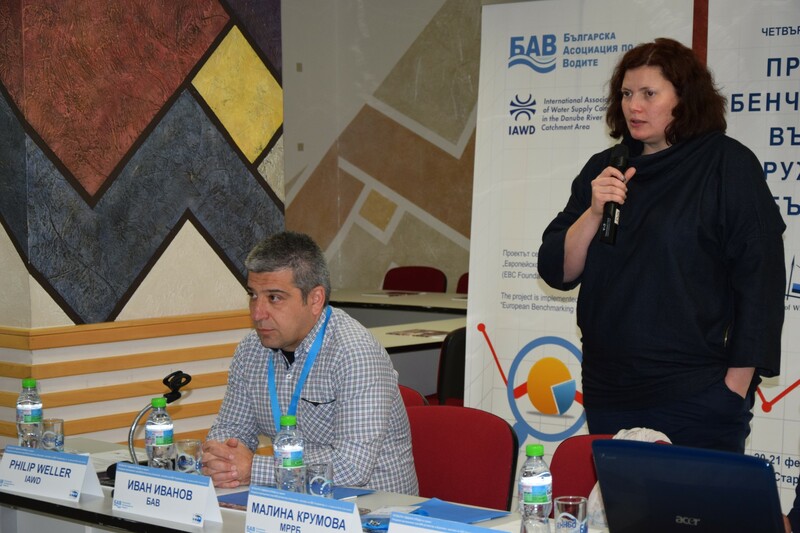 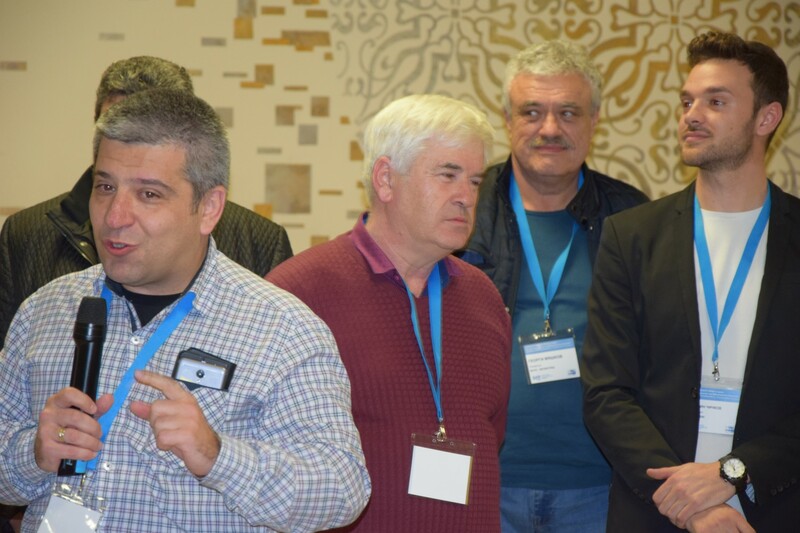 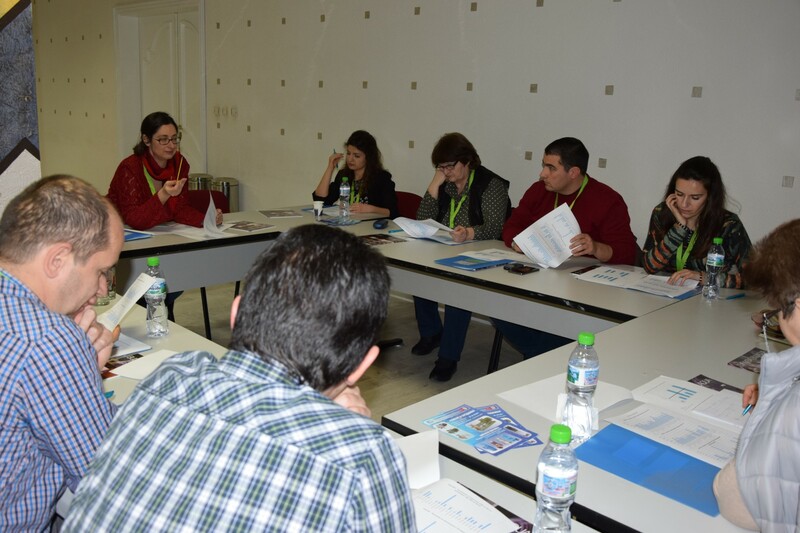 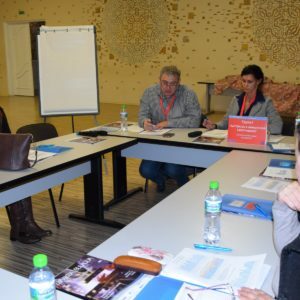 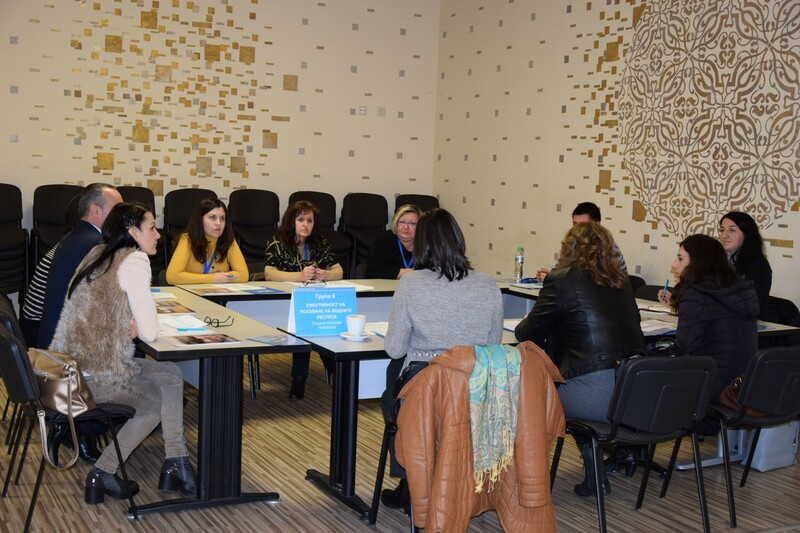 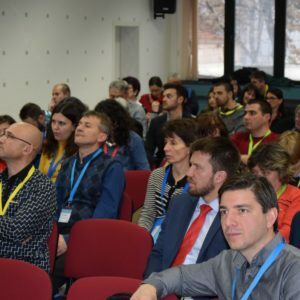 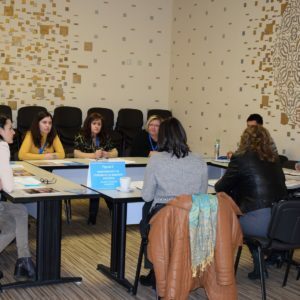 The moderators of the groups – Hristina Mikutseva (ViK Yambol), Bogdana Zlatkova (ViK Blagoevgrad), Stanimira Papazcheva (ViK Stara Zagora) and Dimitar Mishev (ViK Pazardzhik) presented the conclusions that were drawn along with their colleagues during the discussions. 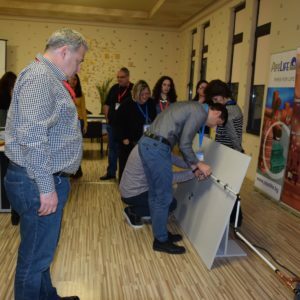 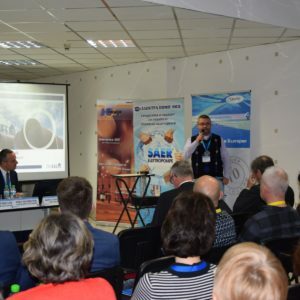 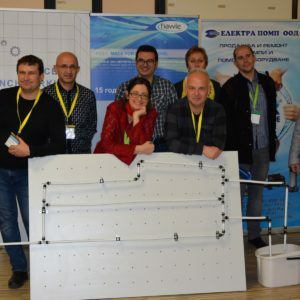 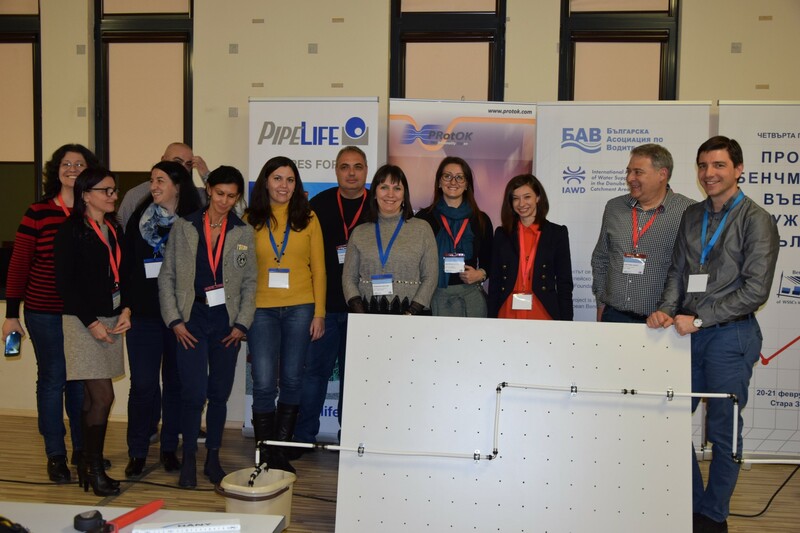 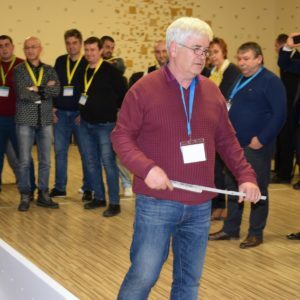 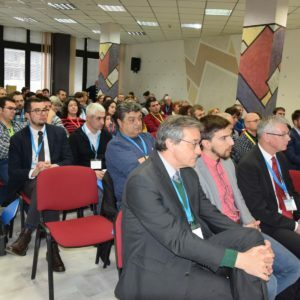 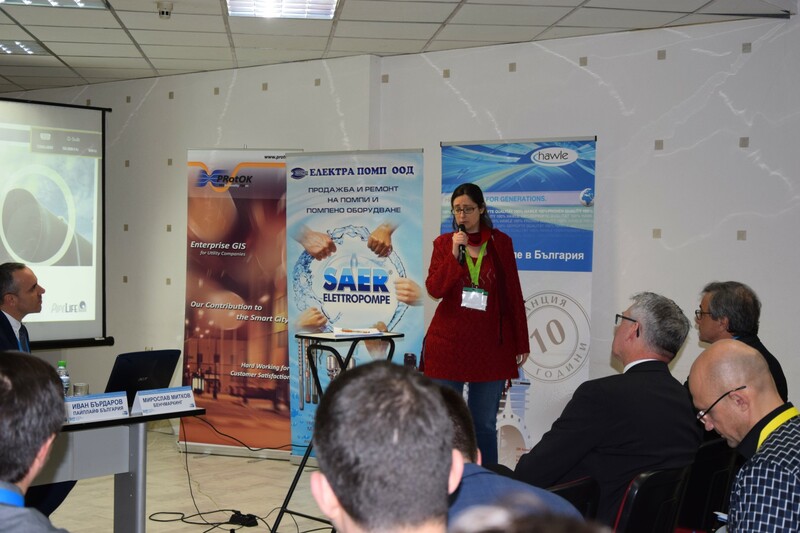 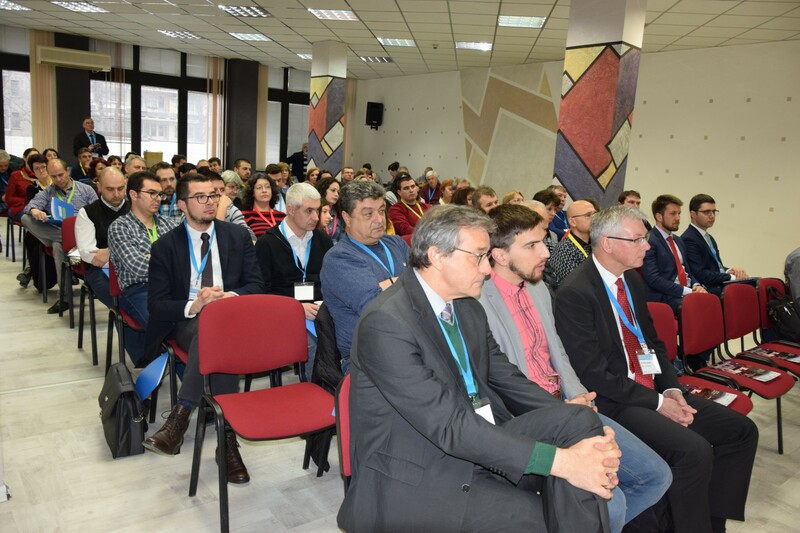 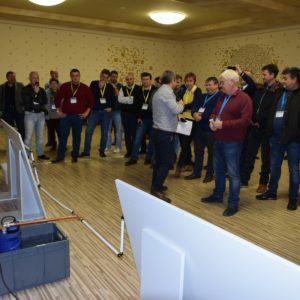 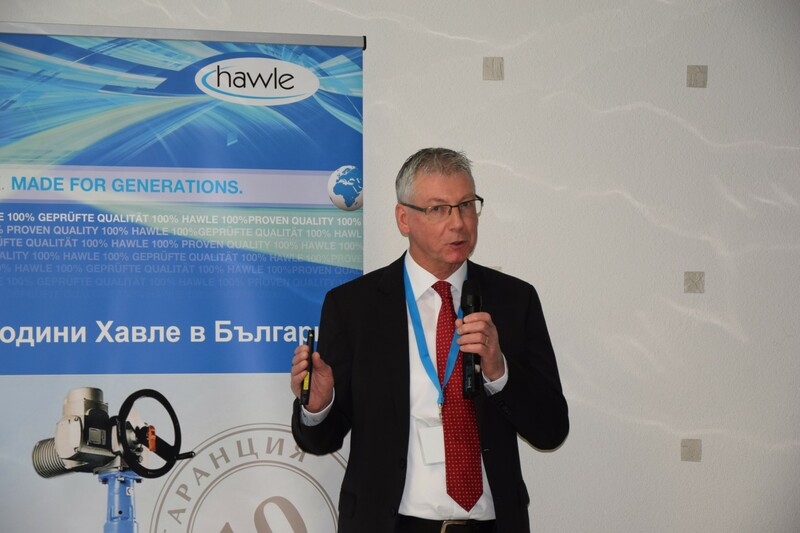 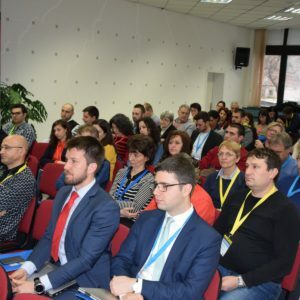 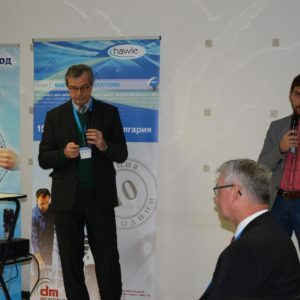 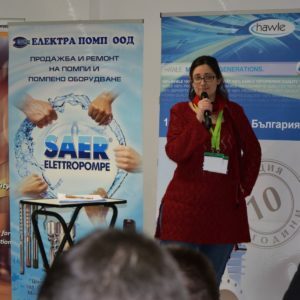 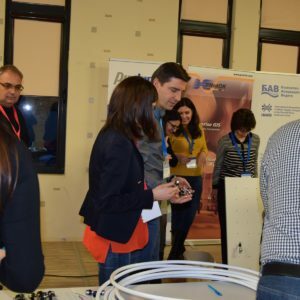 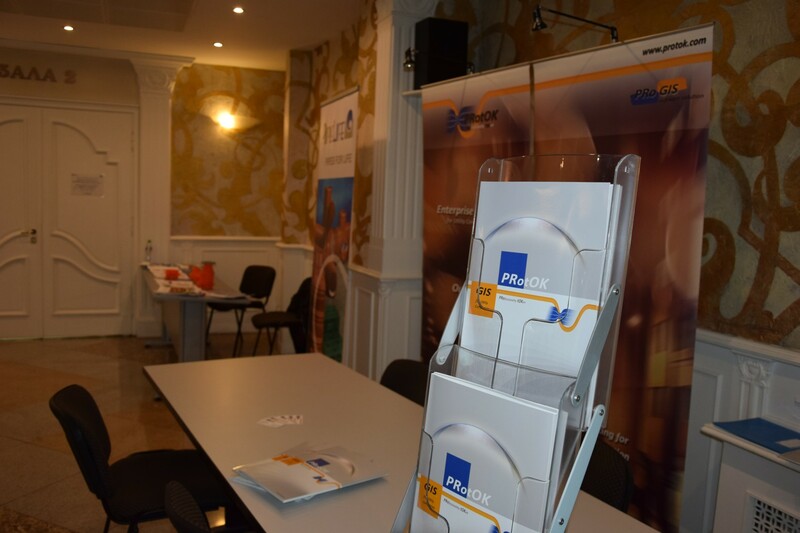 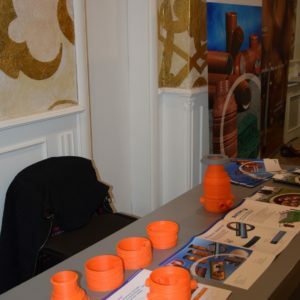 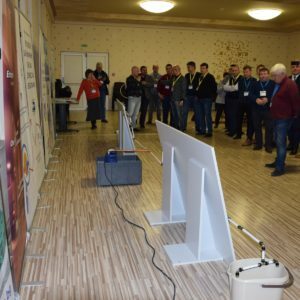 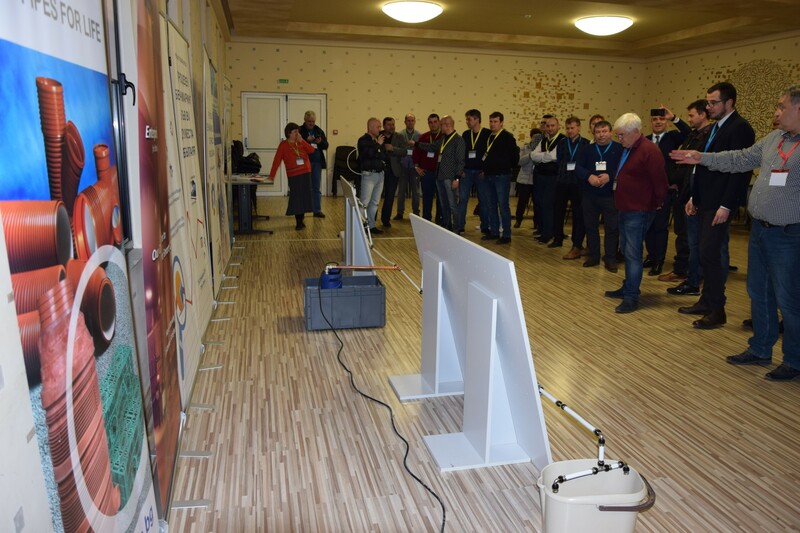 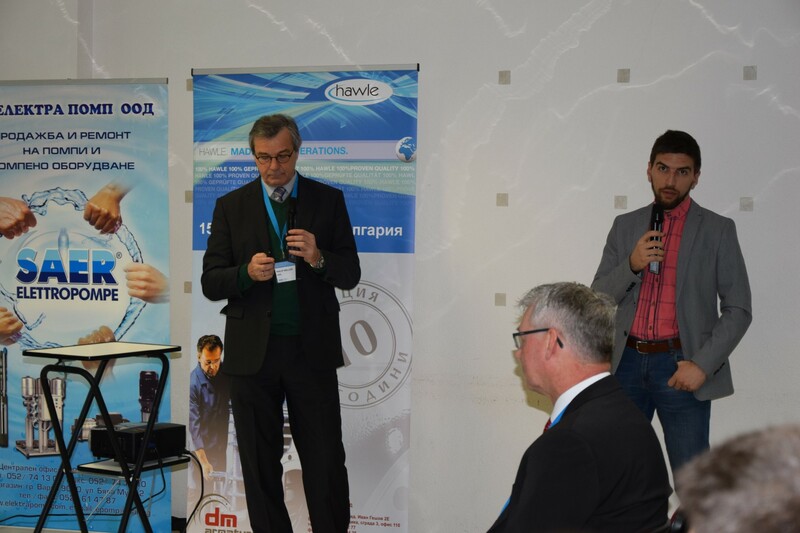 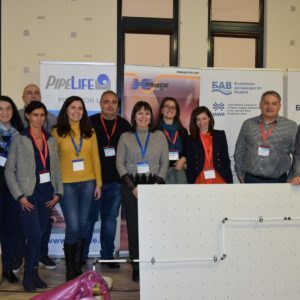 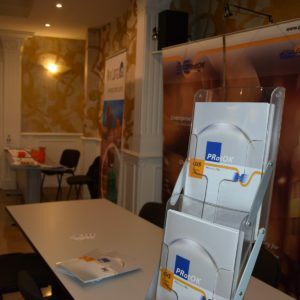 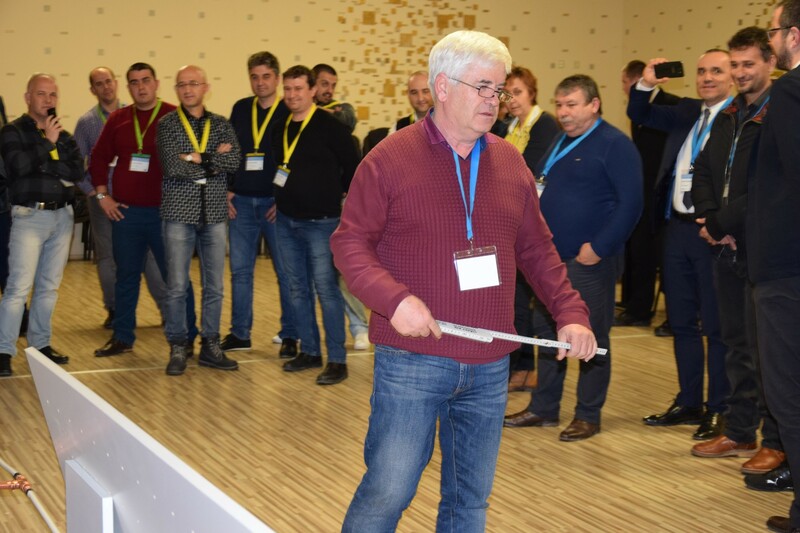 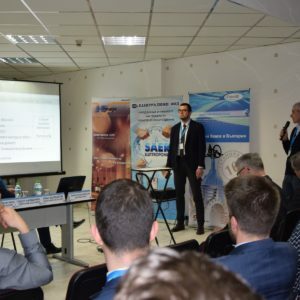 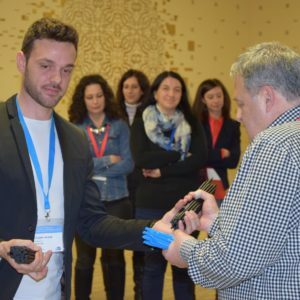 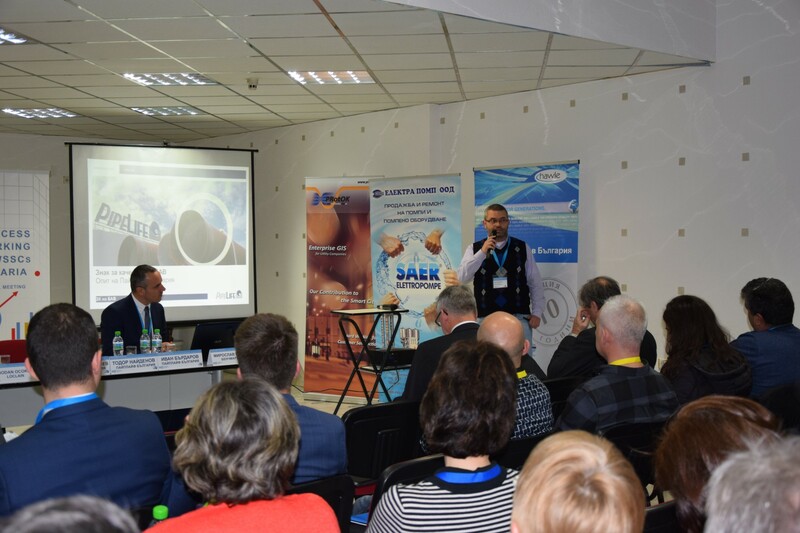 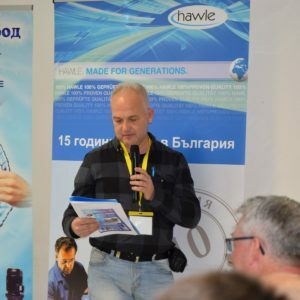 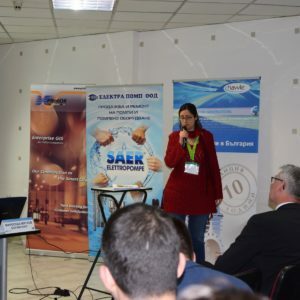 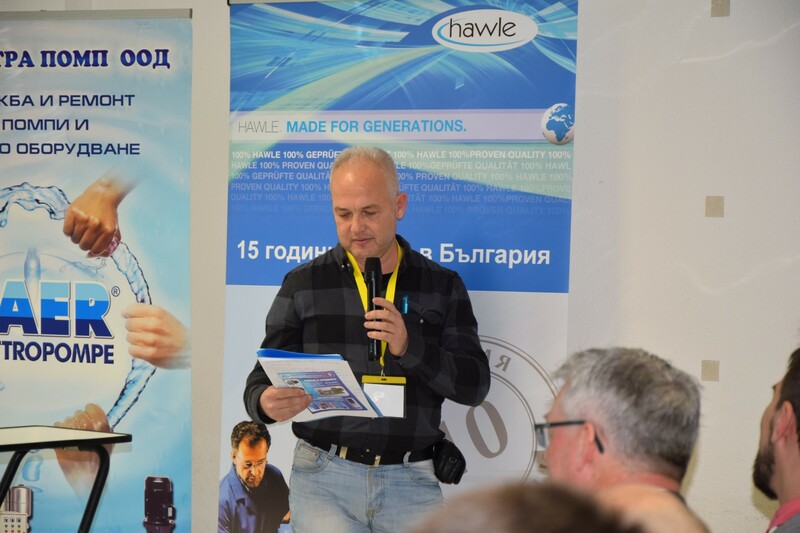 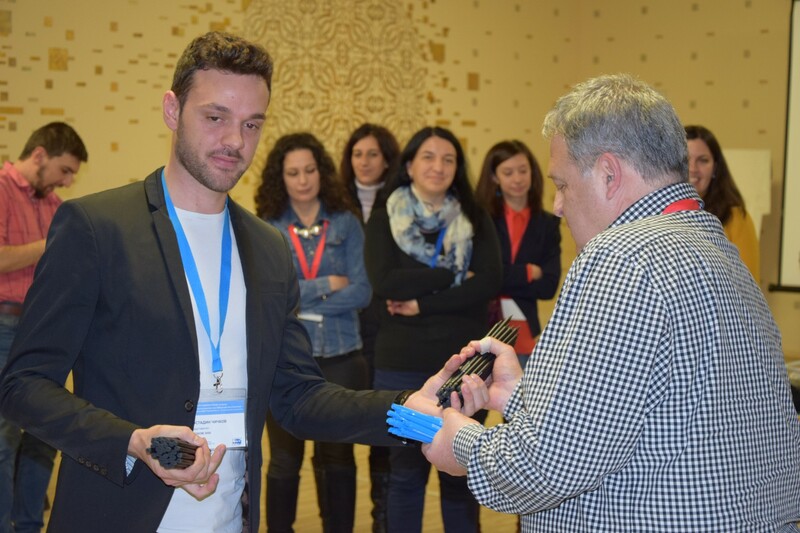 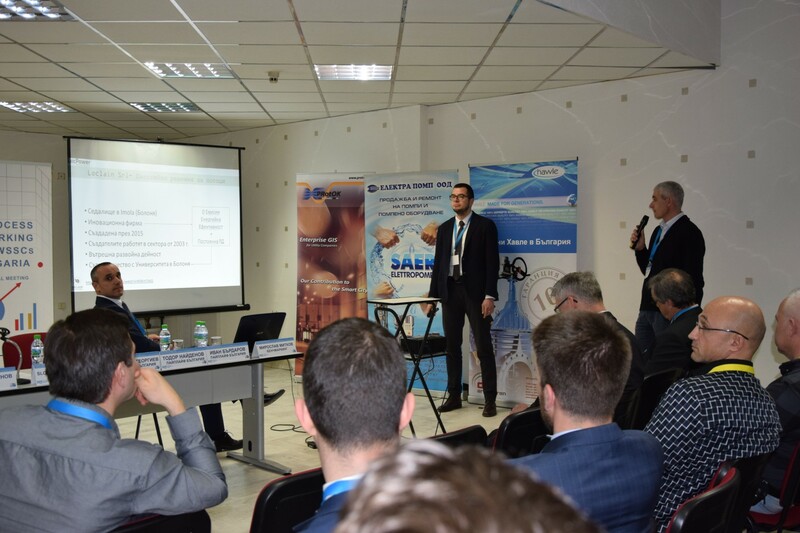 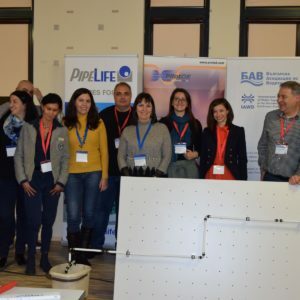 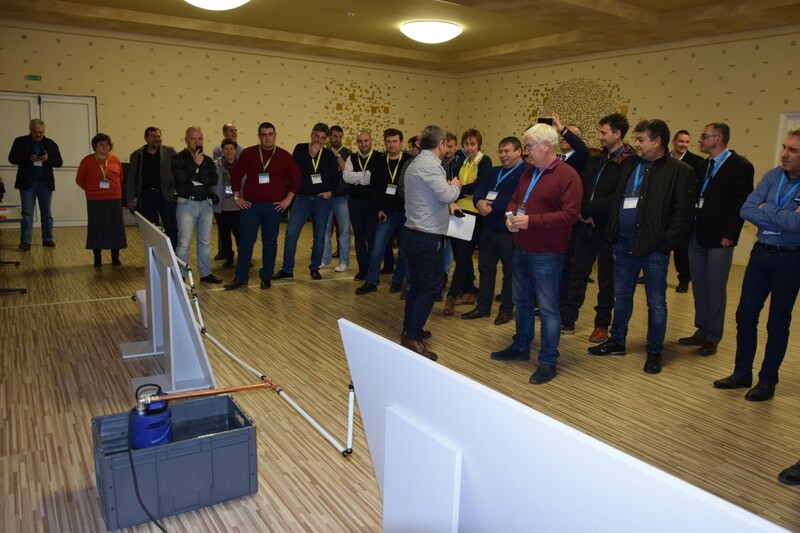 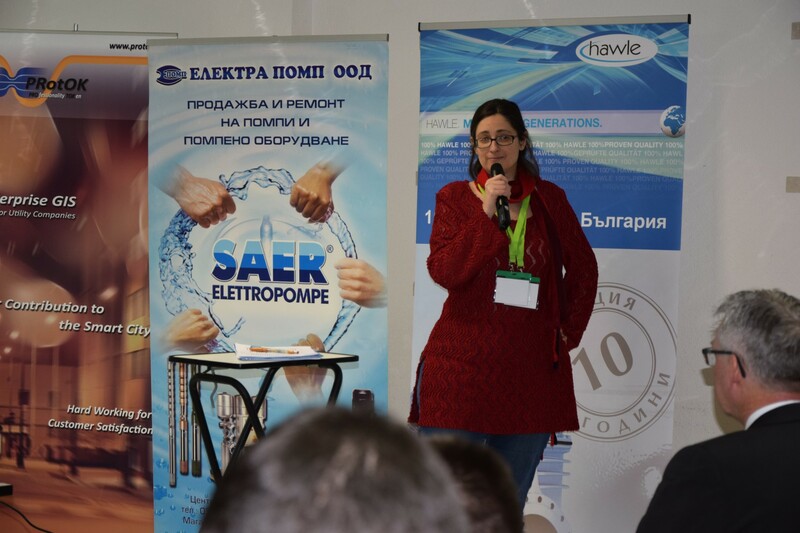 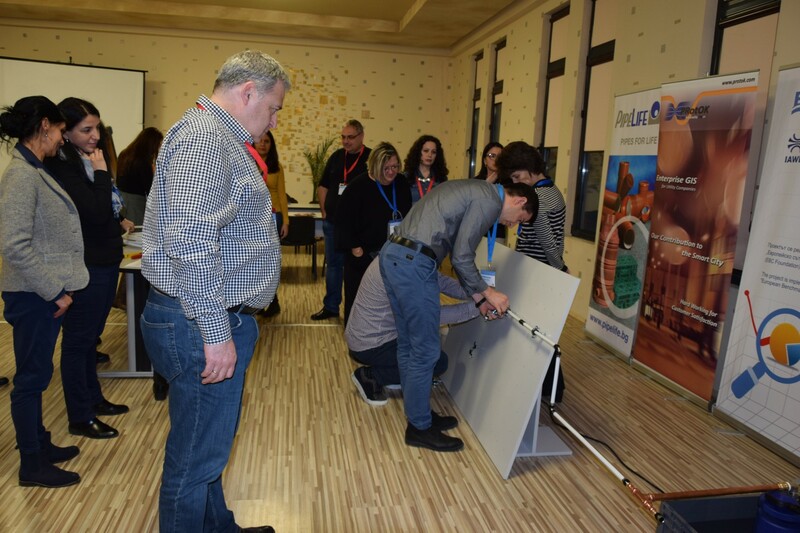 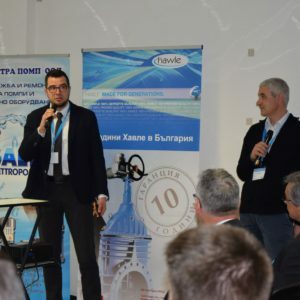 Specialised presentations in close connection to the discussed topics were given by the companies: Indeavr; Loclain SRL (Italy), Pipelife Bulgaria and Protok (Croatia). 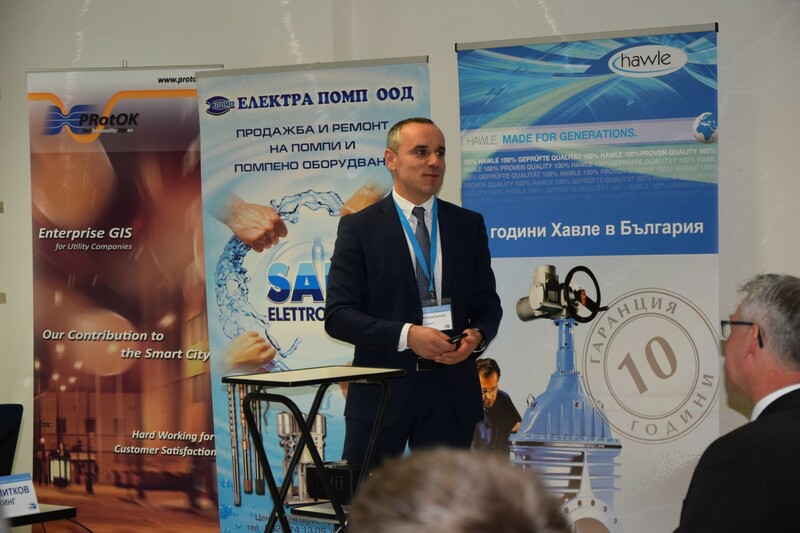 Mario Strahinov, managing partner in INDEAVR spoke over the topic of Regulatory challenges in front of the WSS utilities: Data quality. 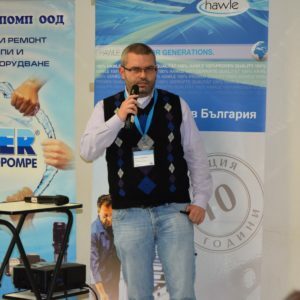 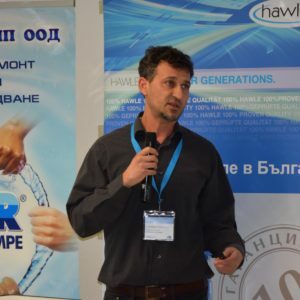 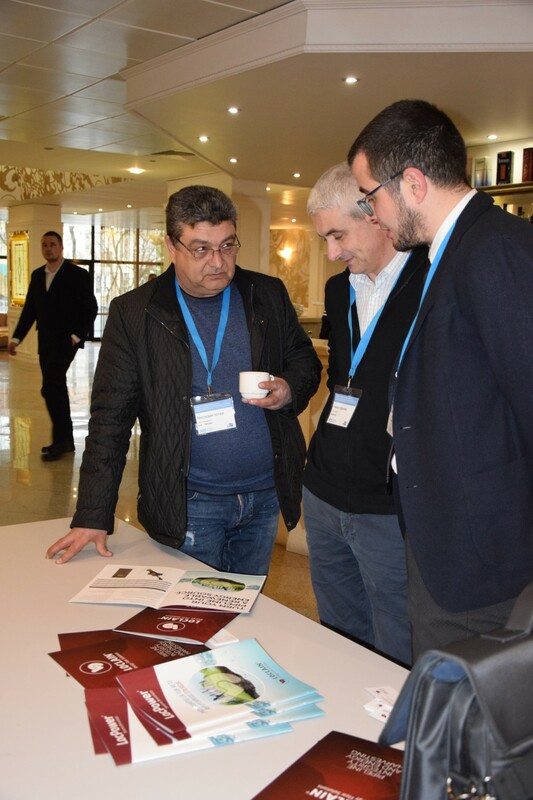 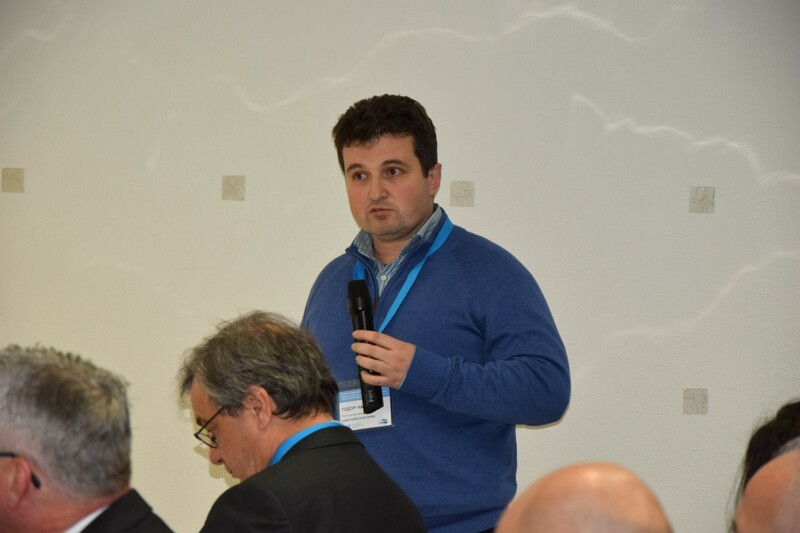 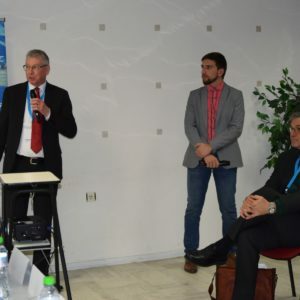 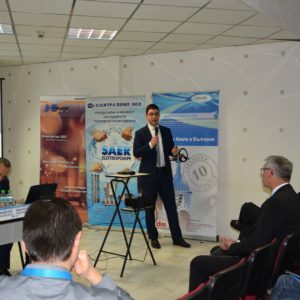 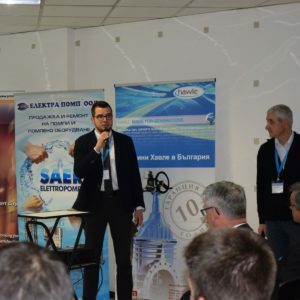 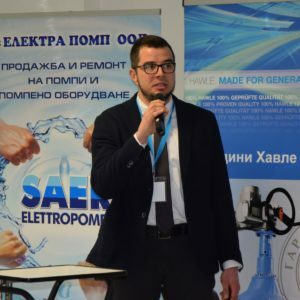 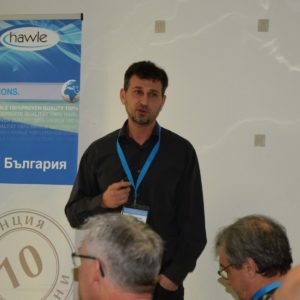 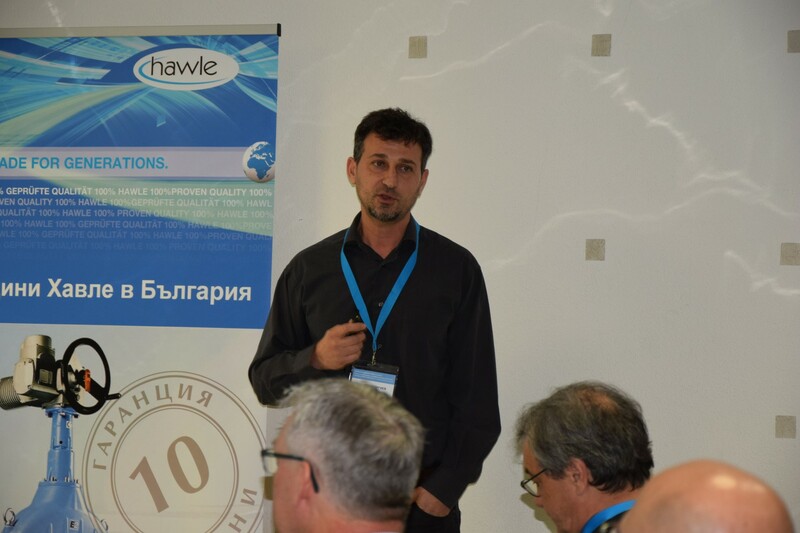 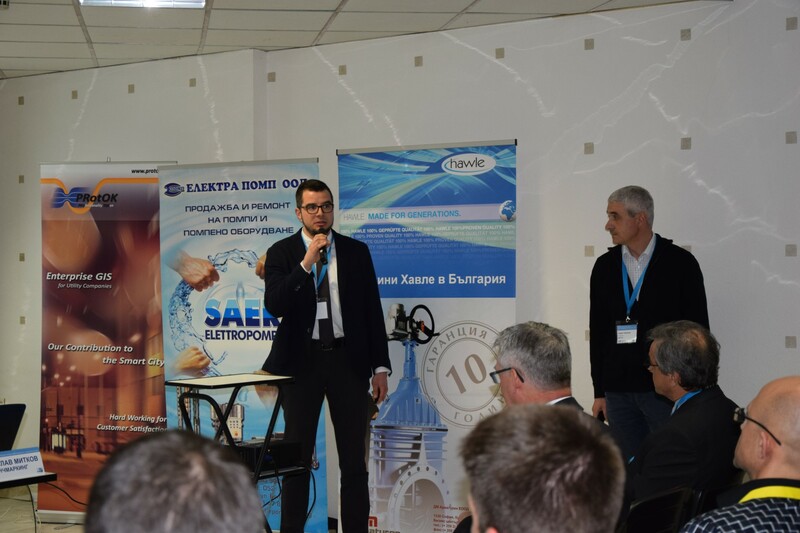 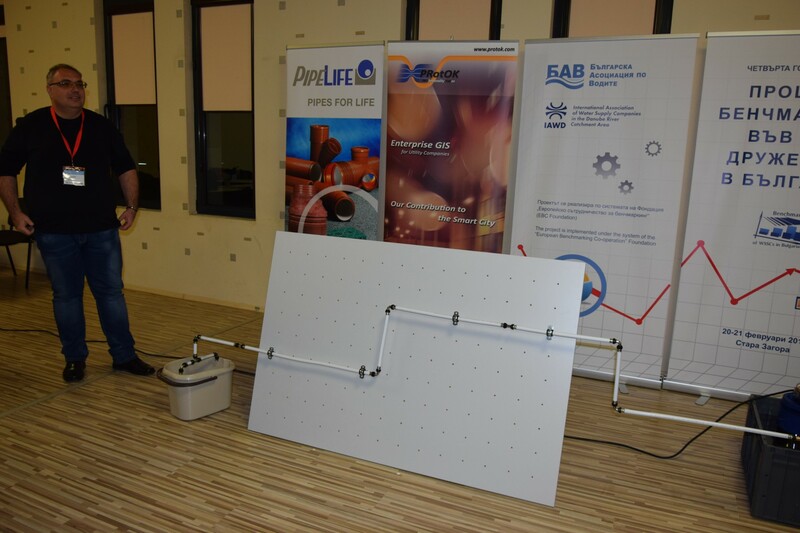 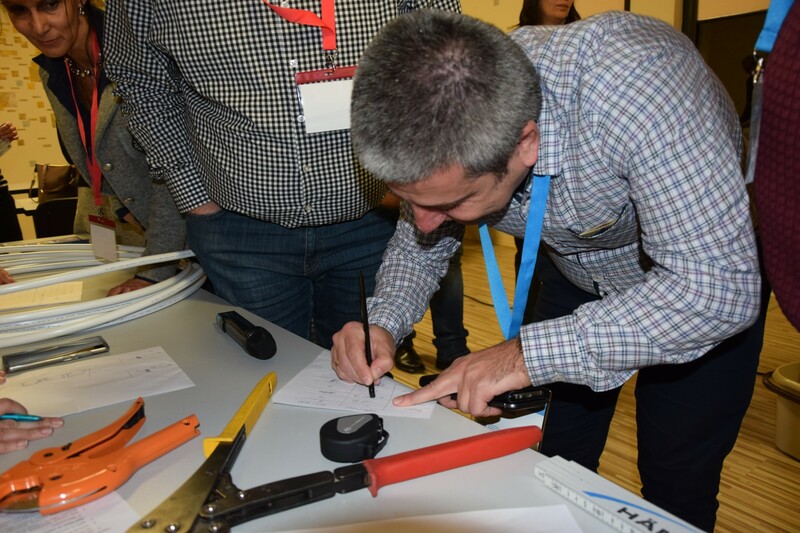 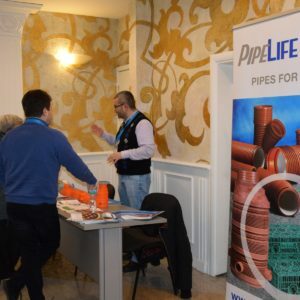 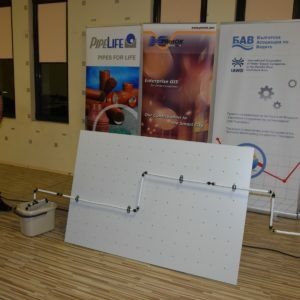 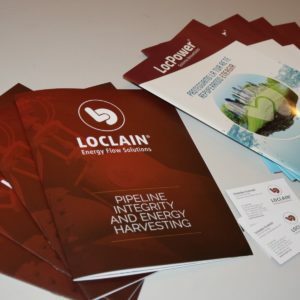 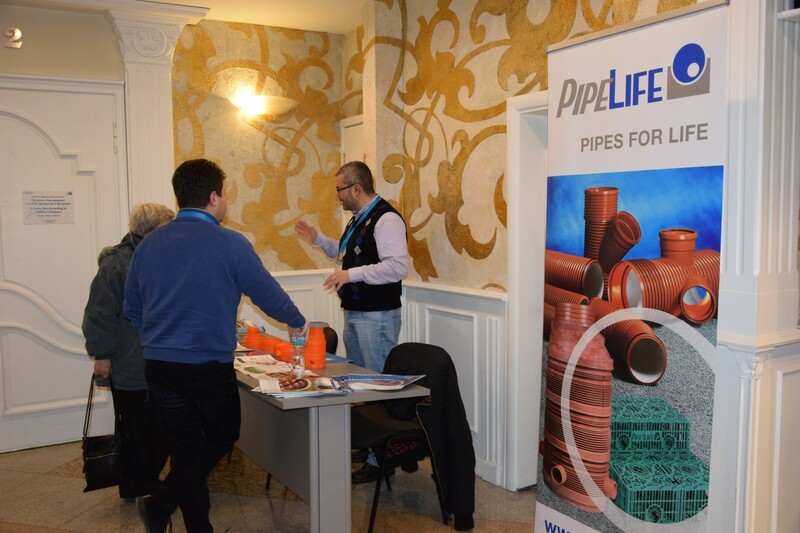 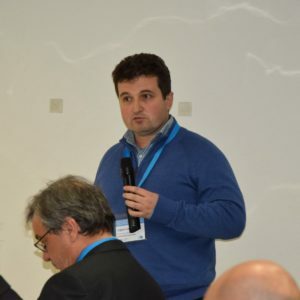 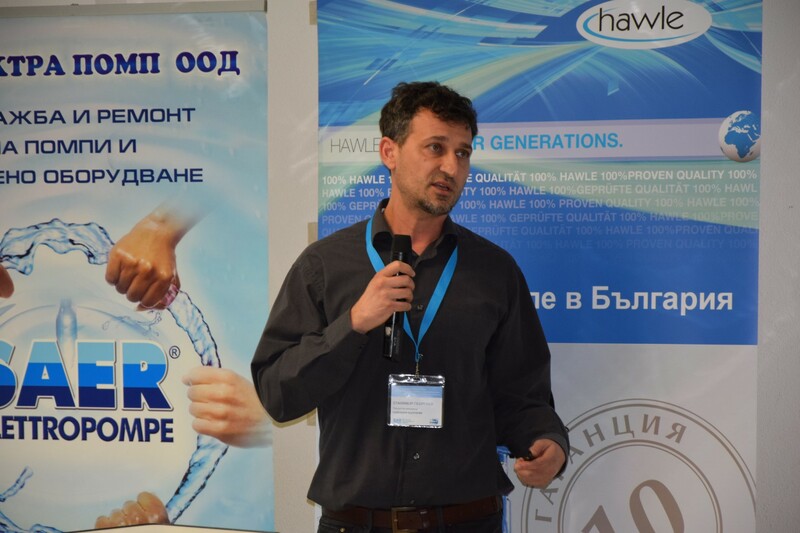 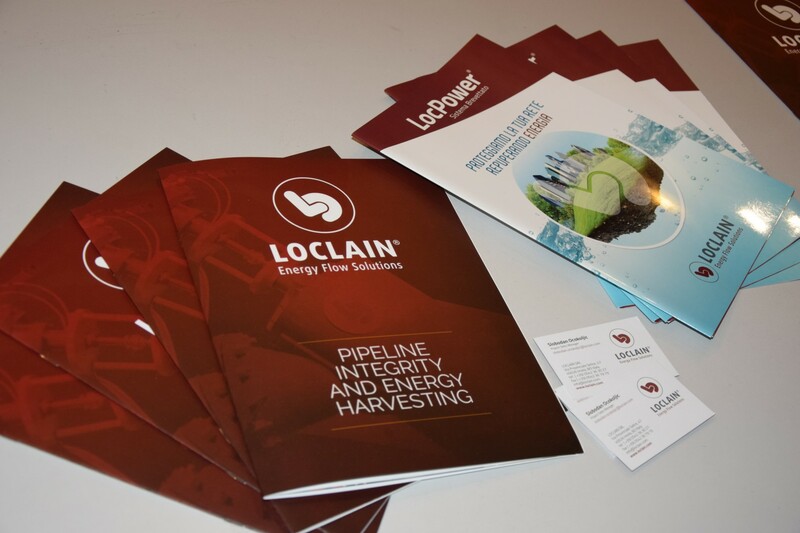 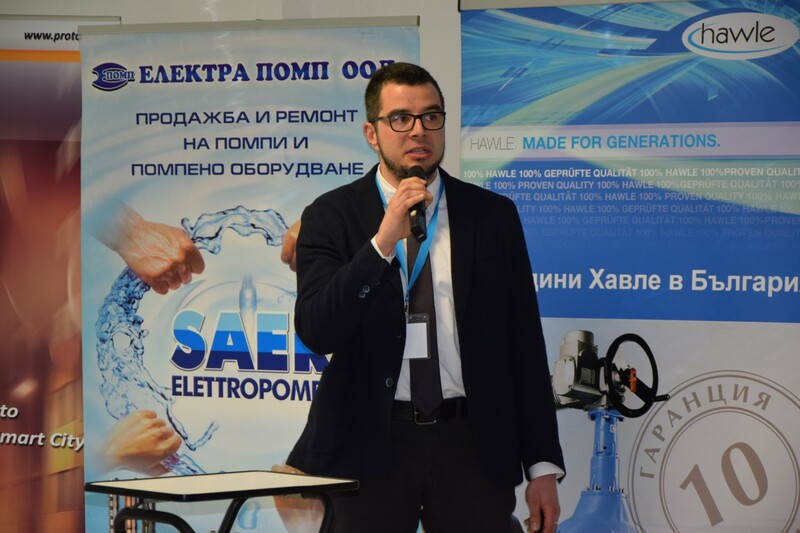 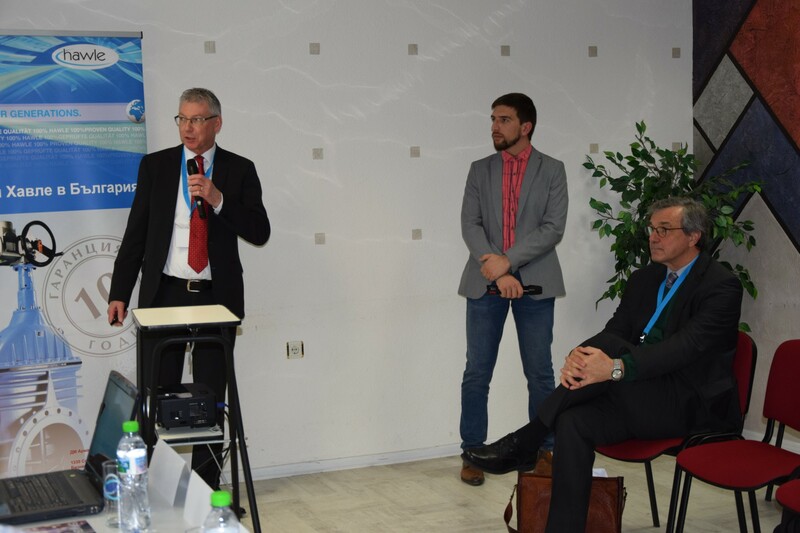 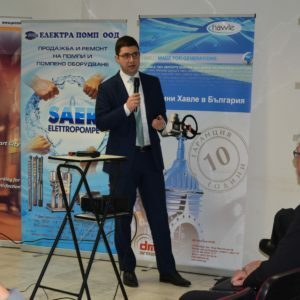 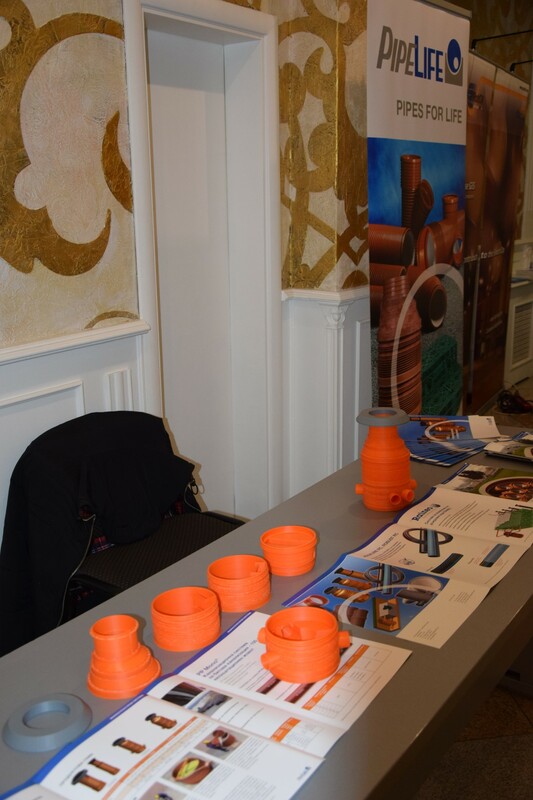 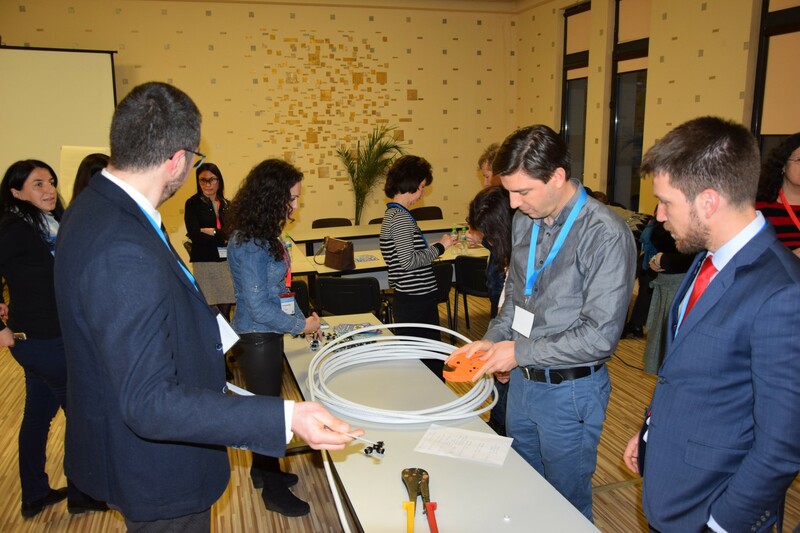 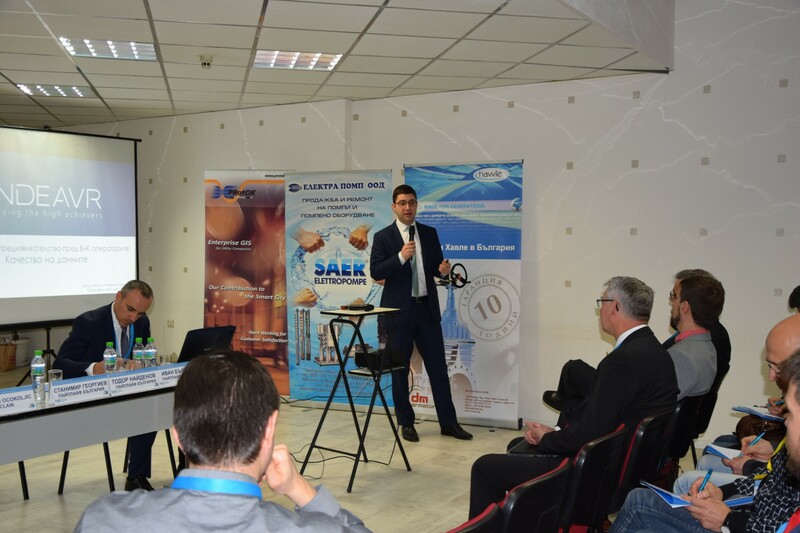 Slobodan Ocokoljic, Project Sales Manager Europe in LOCLAIN, Italy spoke about Solutions for pipes and energy absorption. 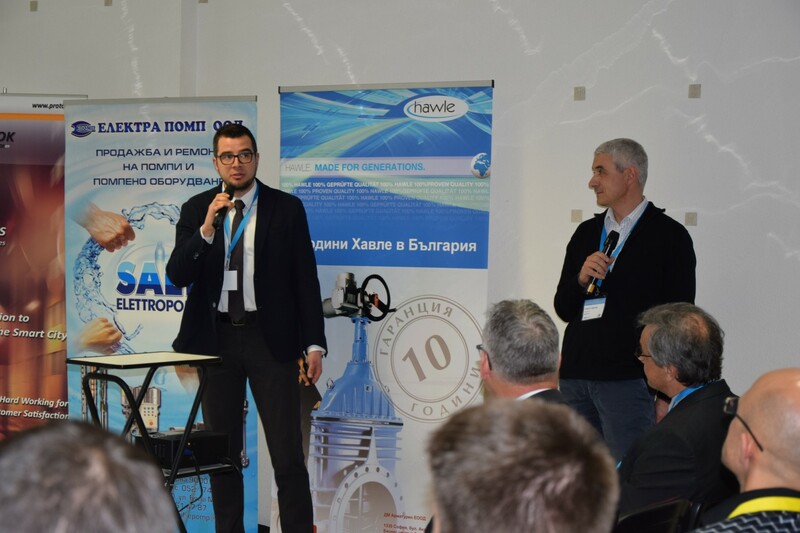 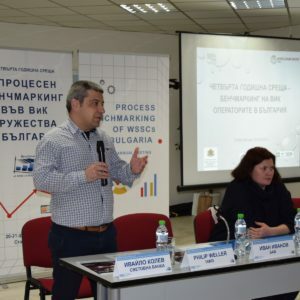 Representatives of Pipelife Bulgaria – Todor Naydenov, regional manager, Ivan Bardarov, product manager and Stanimir Georgiev, also product manager in the company made combined presentation about The experience of Pipelife Bulgaria with BWA’s initiative – Quality Mark, as well as presenting various solutions for sewerage systems. 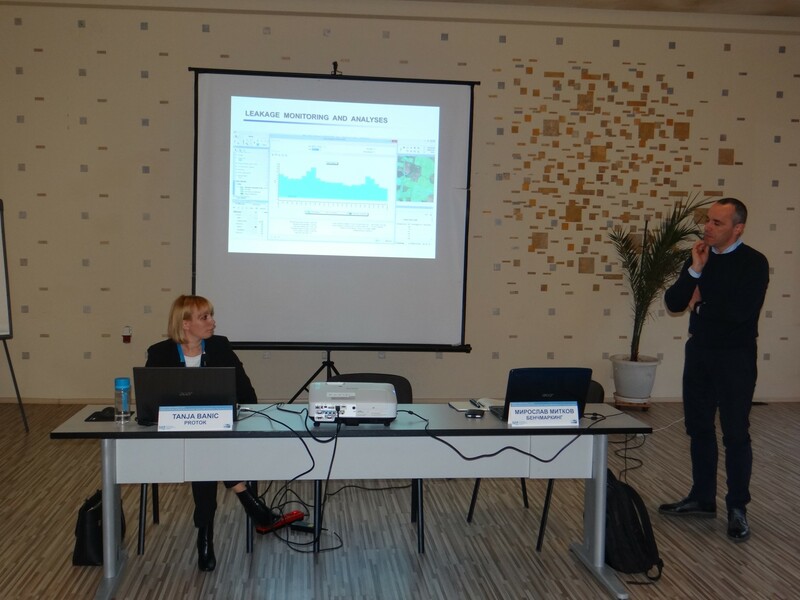 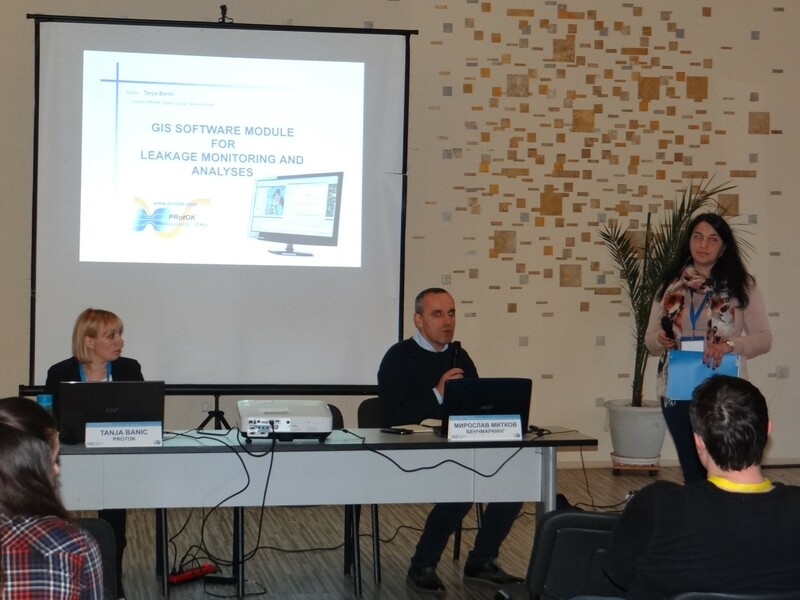 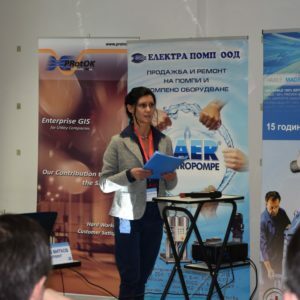 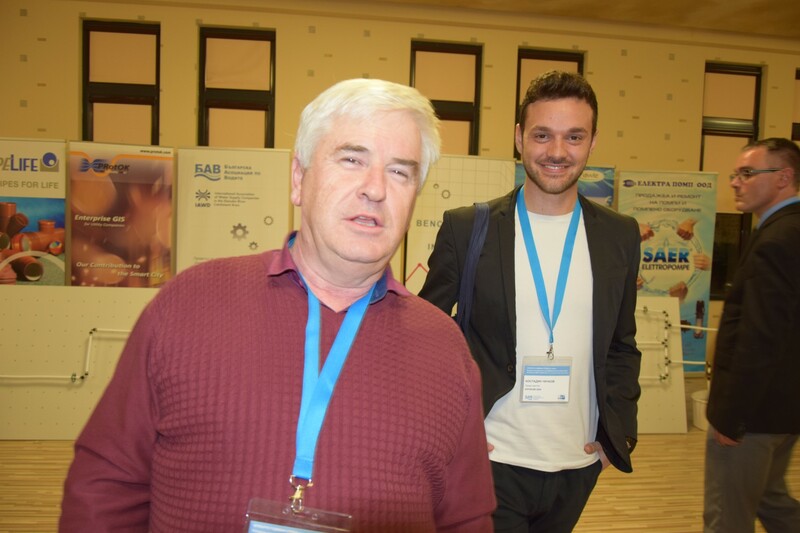 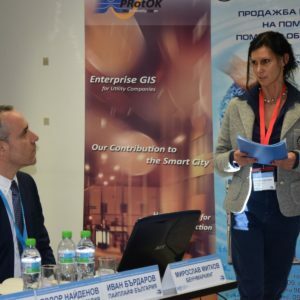 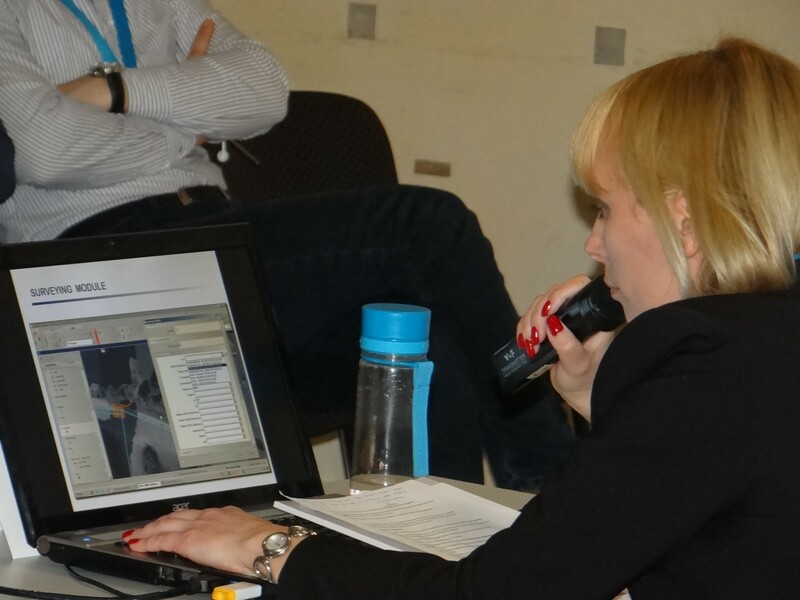 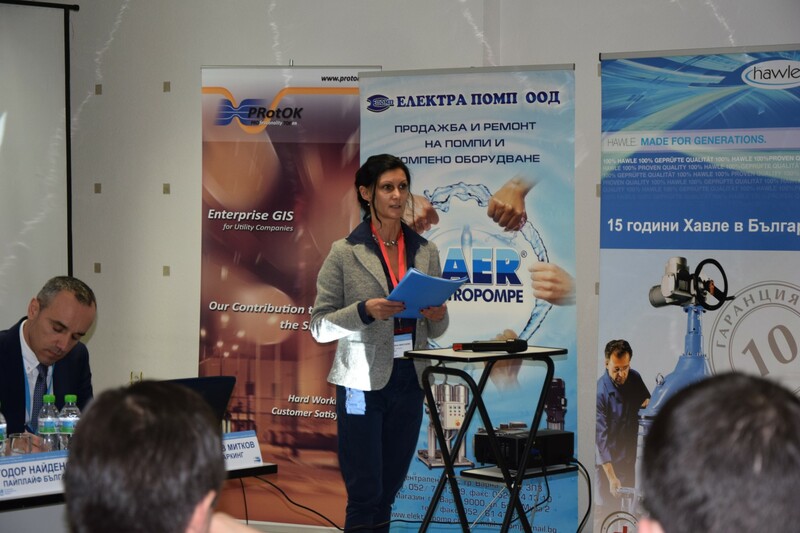 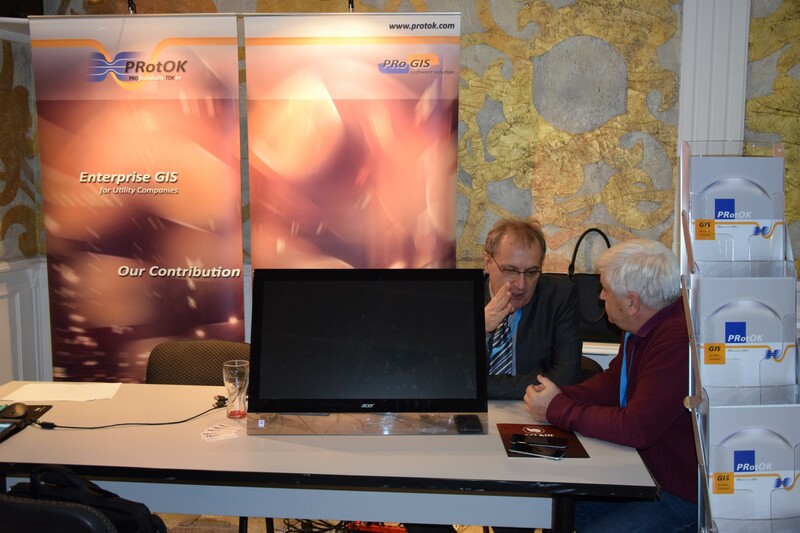 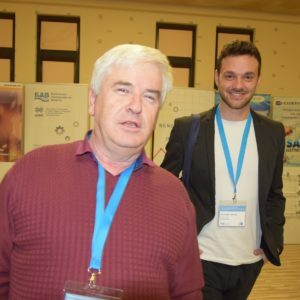 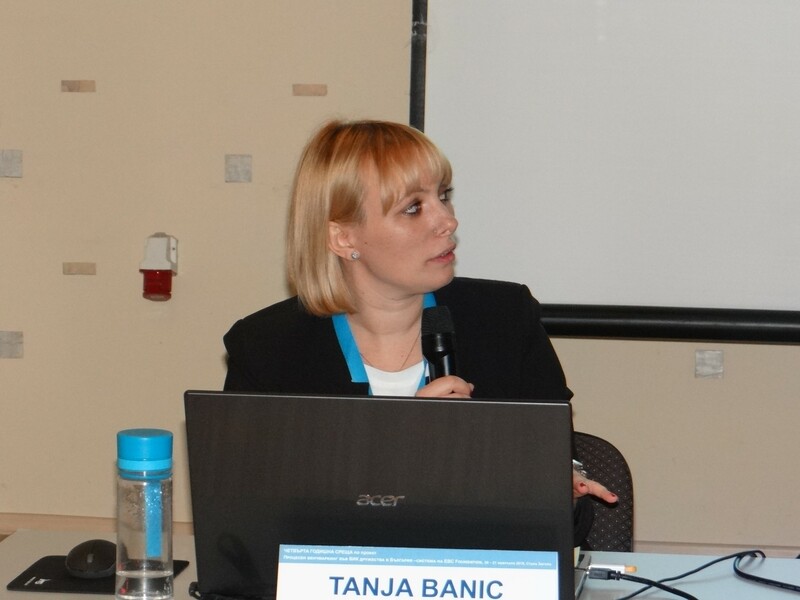 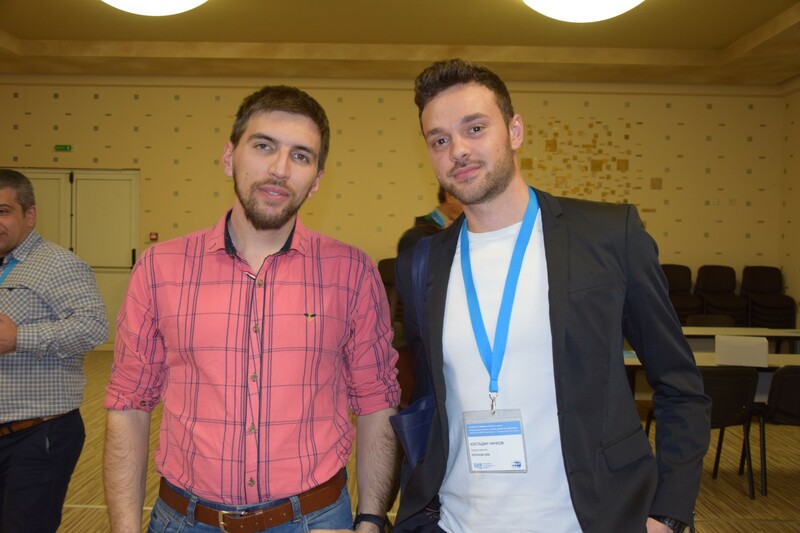 Tanja Banic, Director of PROTOK, Croatia and Albin Bacun, also Director of the Croatian company presented GIS Software Module for leakage monitoring and analyses. 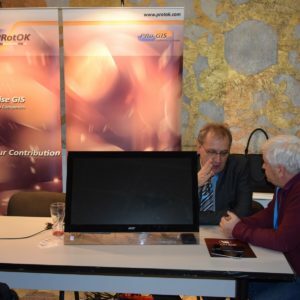 Key for analysis completion with no regard to the chosen field is the quality of raw data. 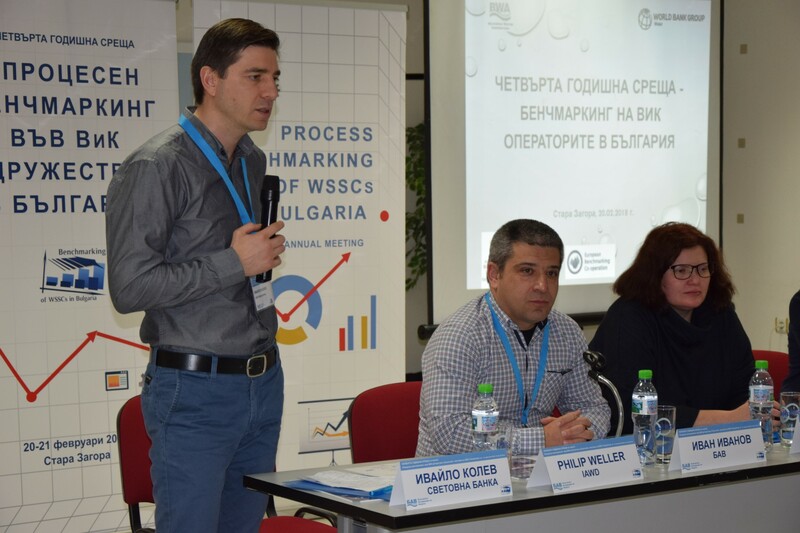 Despite the efforts of WSS operators in the sphere for improvement of presented information one of the crucial identified problems during the process of data collection and analysis in the benchmarking project is their quality. 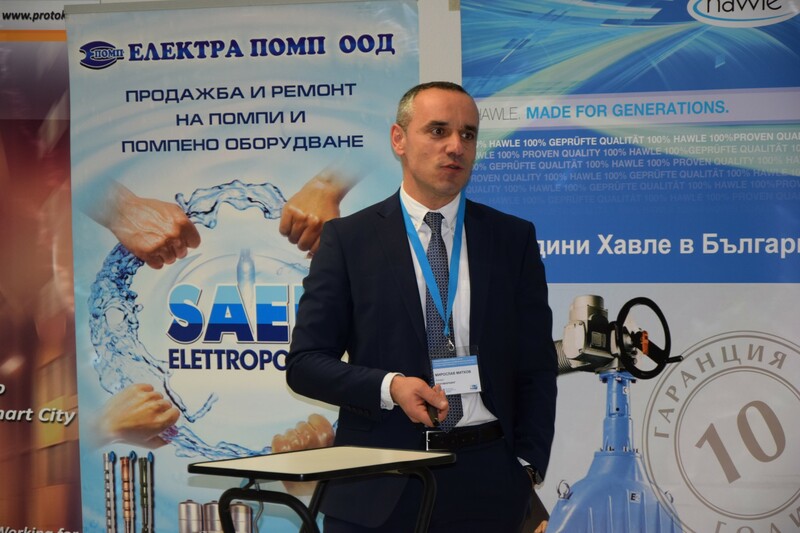 In many operators there are no registries or data base and for the biggest part of them the deadline for introducing such systems by the Energy and Water Regulatory Commission. 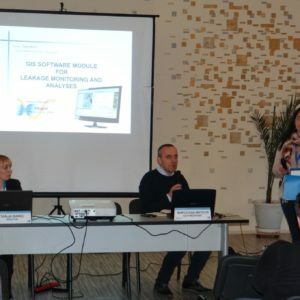 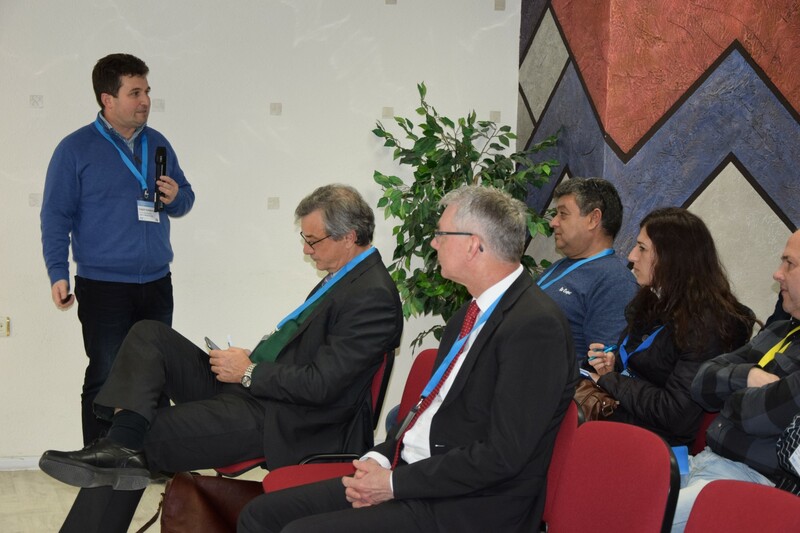 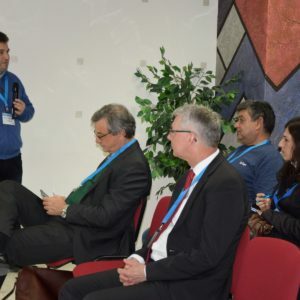 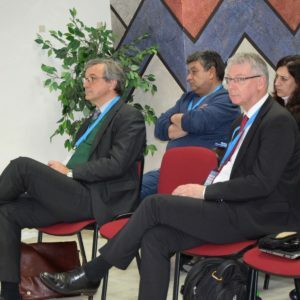 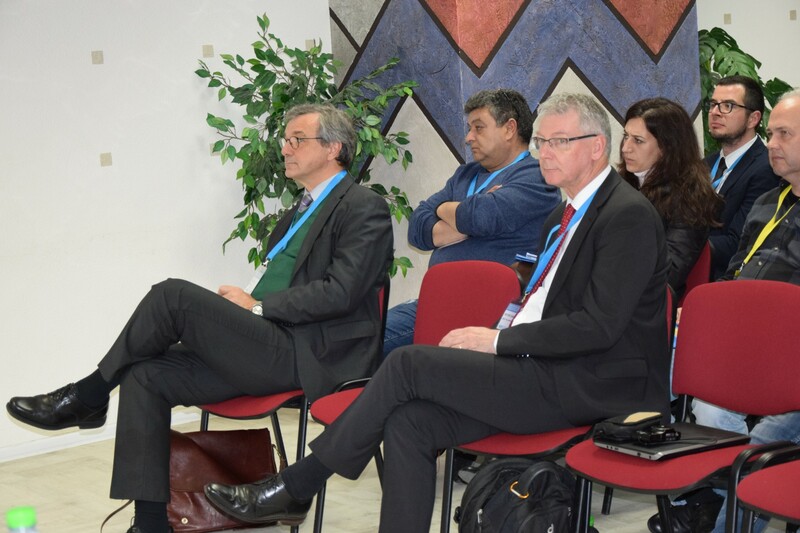 With connection to that to the event were invited companies with rich experience of management of registries and data base as well as the optimisation of processes in the WSS sector. 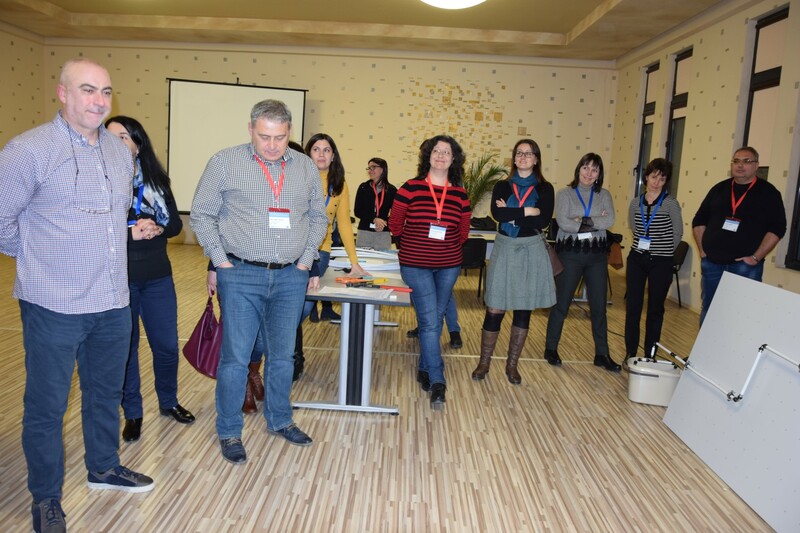 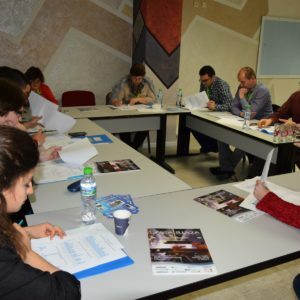 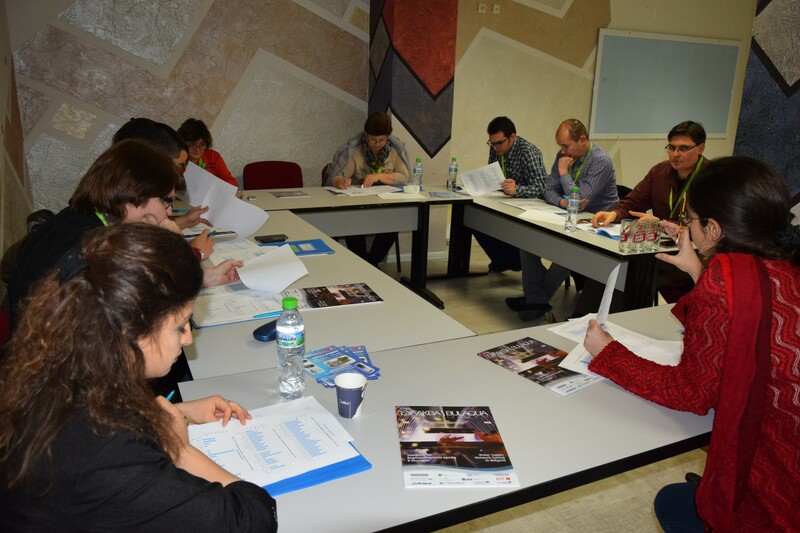 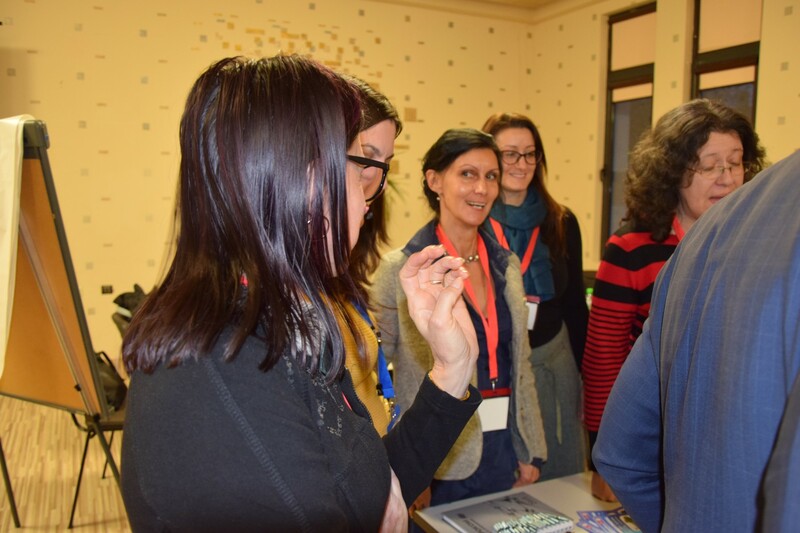 The fourth annual meeting under the benchmarking project finished with role game where the participants were divided into two groups. 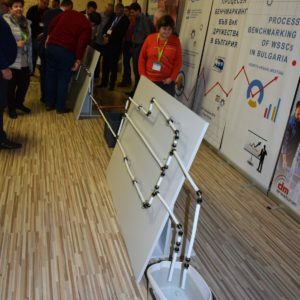 After that they had to make two household water transportation systems with elements provided by EUROCOM 2000. 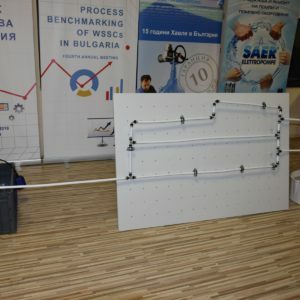 Mentor in the professional race was Eng. 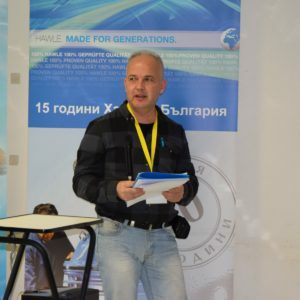 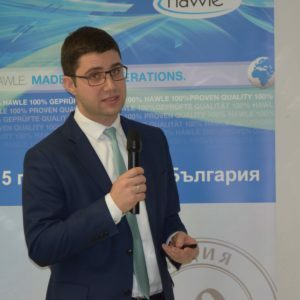 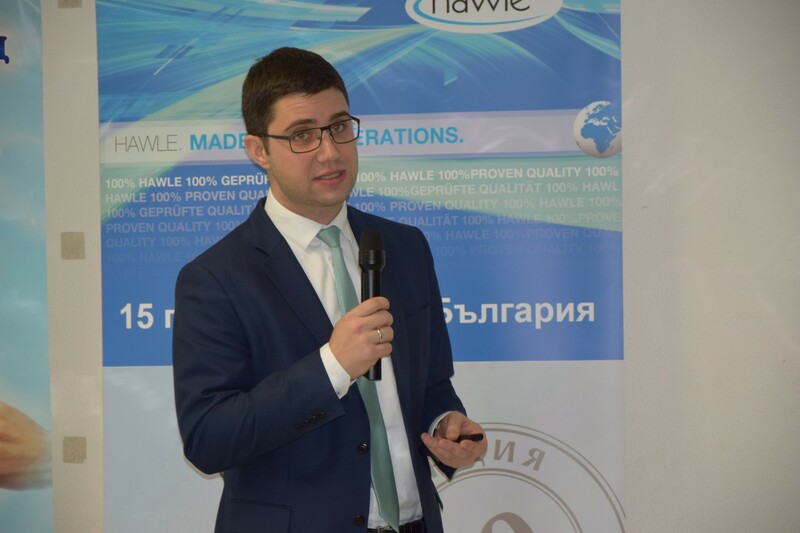 Georgi Vladov – Vice President of BWA and manager of ViK Vidin. 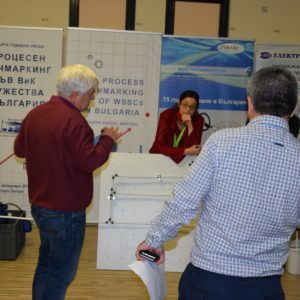 Both teams emerged victorious because similar to the systematic analysis in the WSS utilities important was know-how and experience sharing rather than the race. 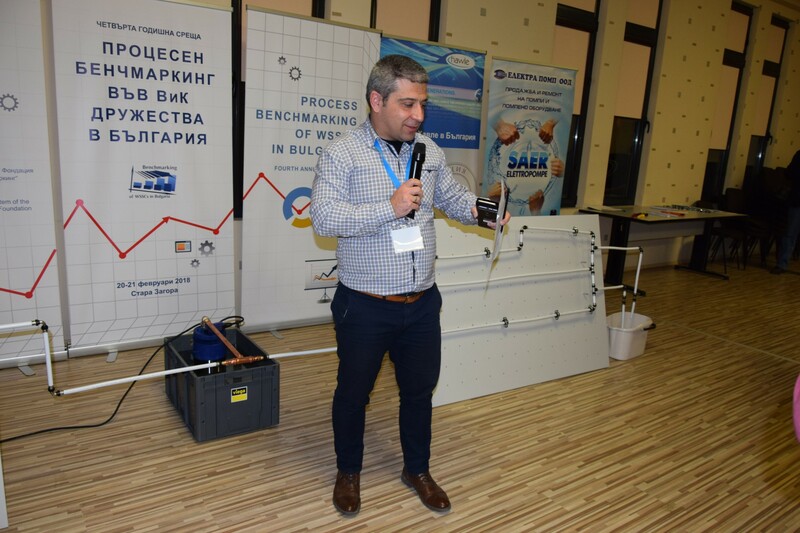 Presents for both teams were given by Kostadin Chichkov from EUROCOM 2000. 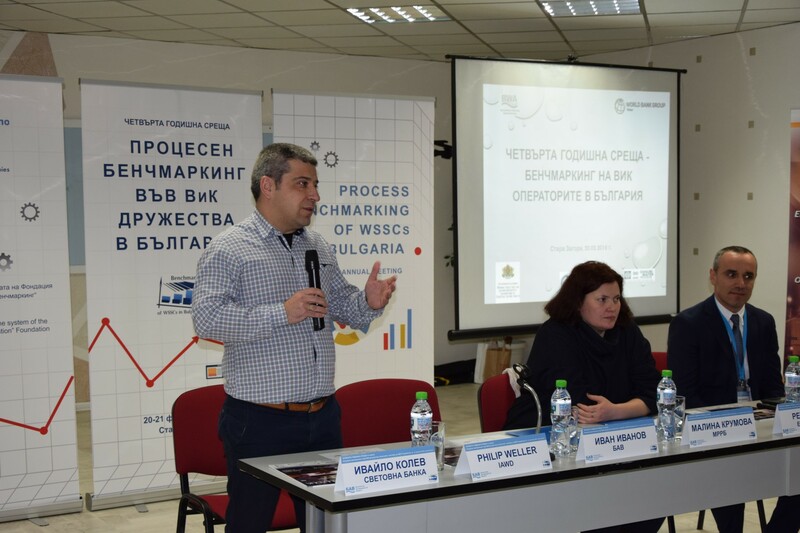 DM ARMATUREN and ELECTRA POMP also supported the benchmarking forum, organised by BWA. 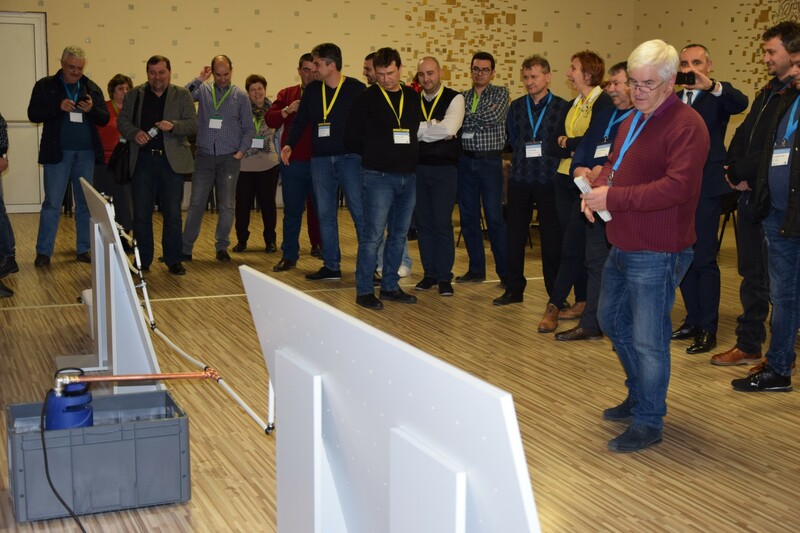 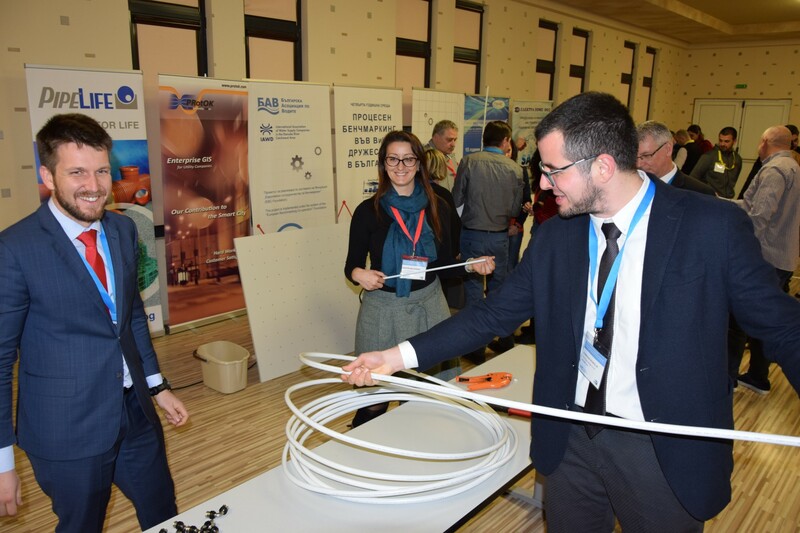 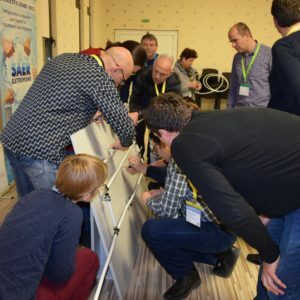 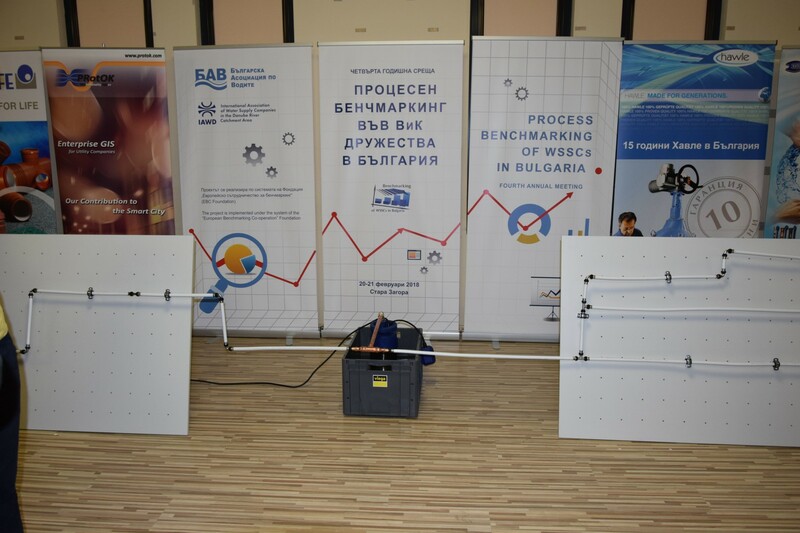 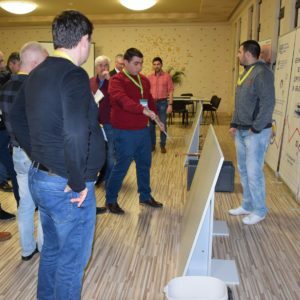 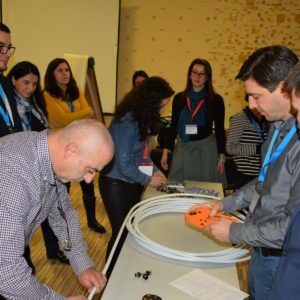 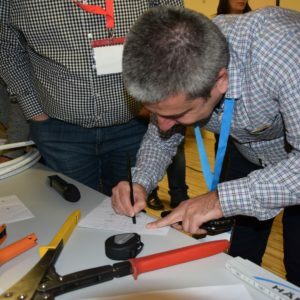 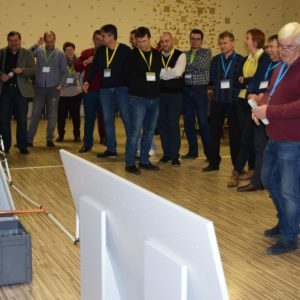 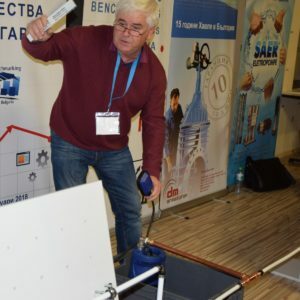 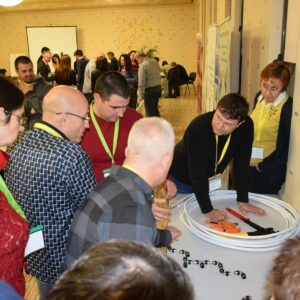 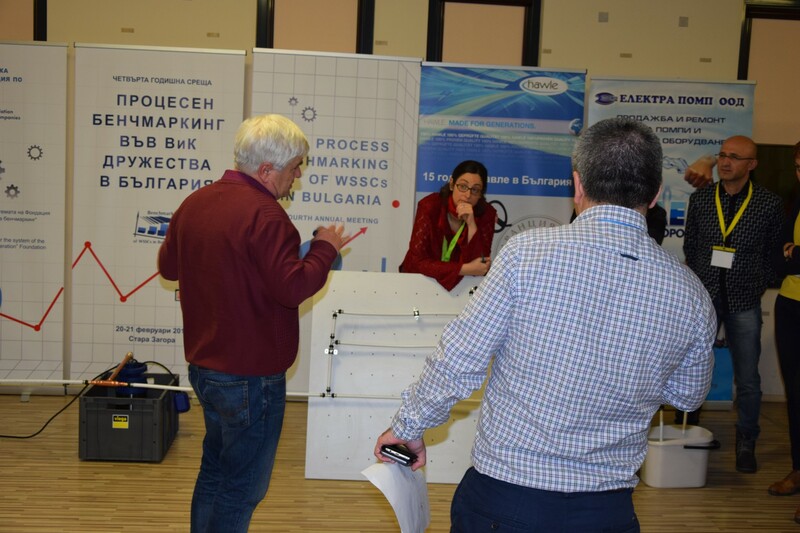 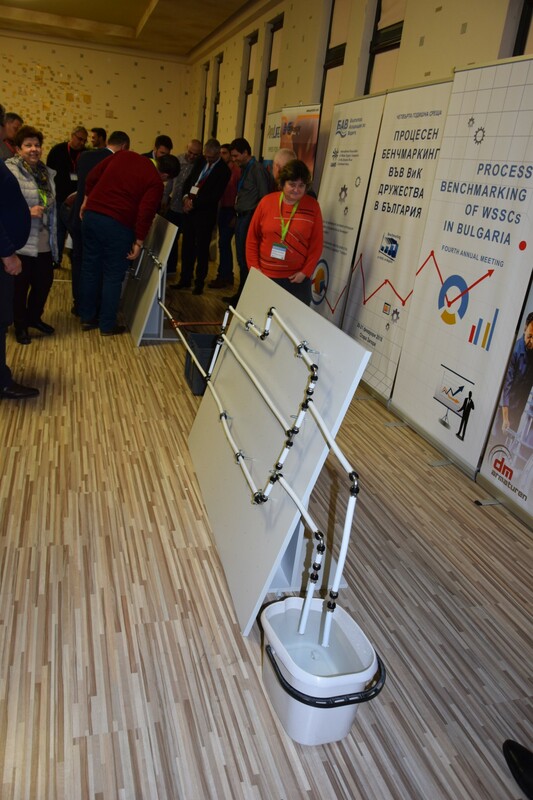 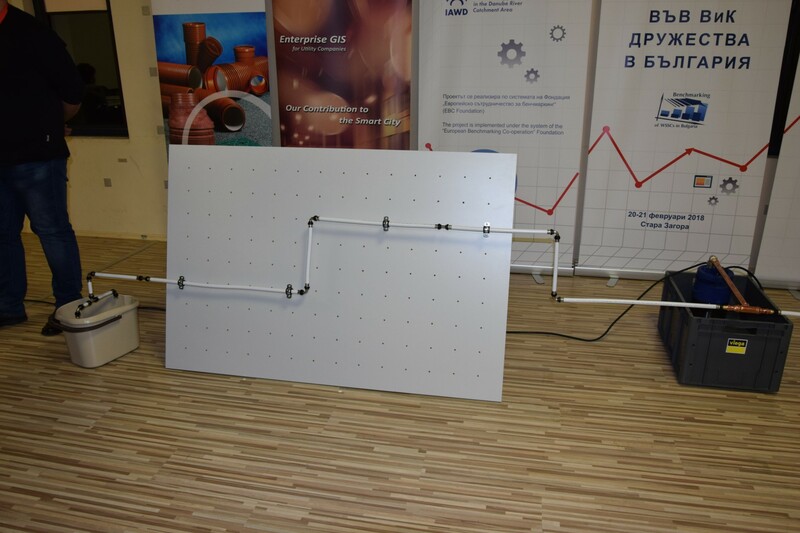 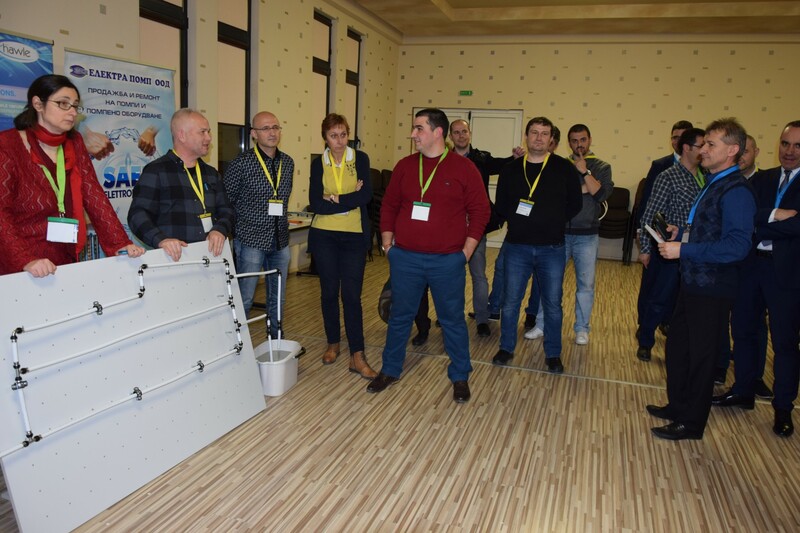 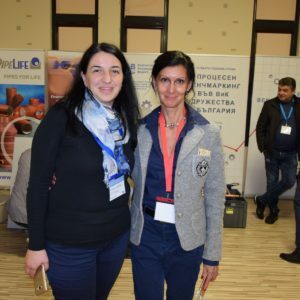 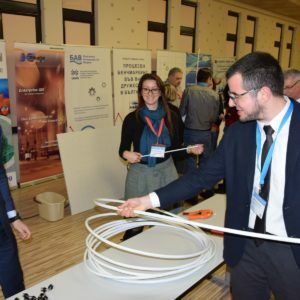 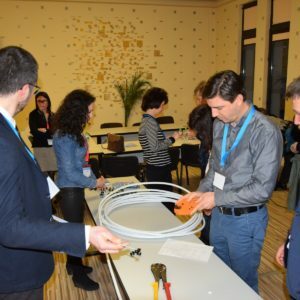 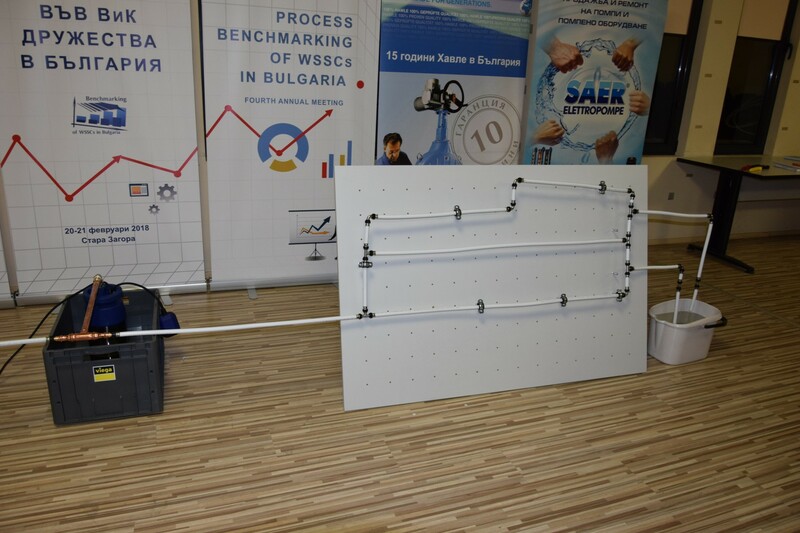 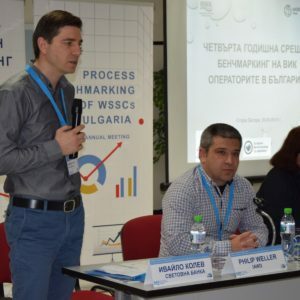 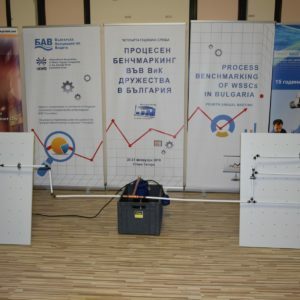 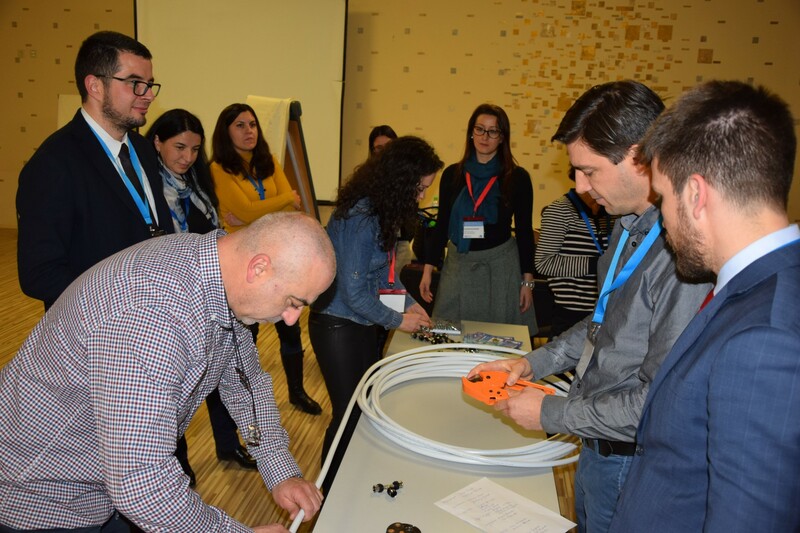 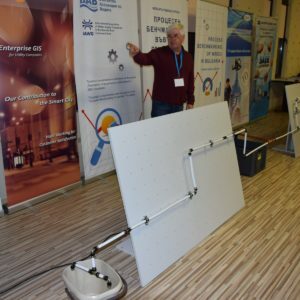 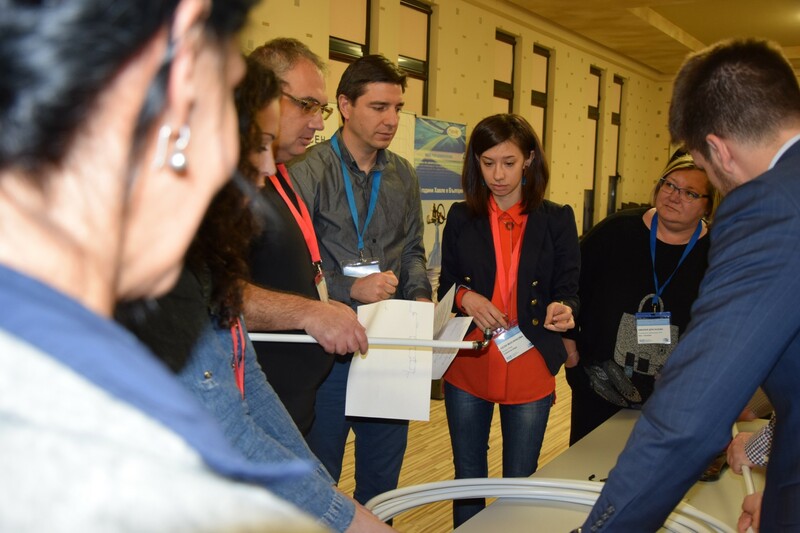 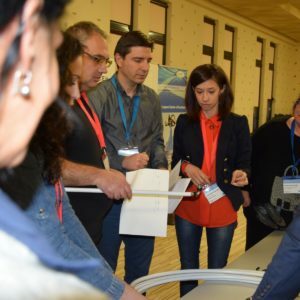 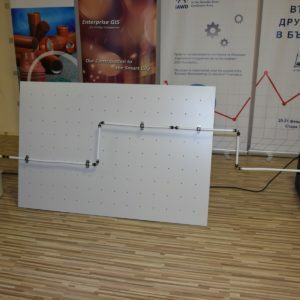 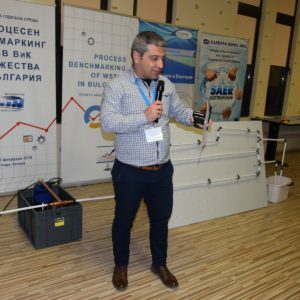 For the realisation of project „Process Benchmarking in WSS Utilities in Bulgaria“ the international partners provide the participation of wide range of European WSS operators in the process of international benchmarking which is well known in Europe and is being carried out for eleven years. 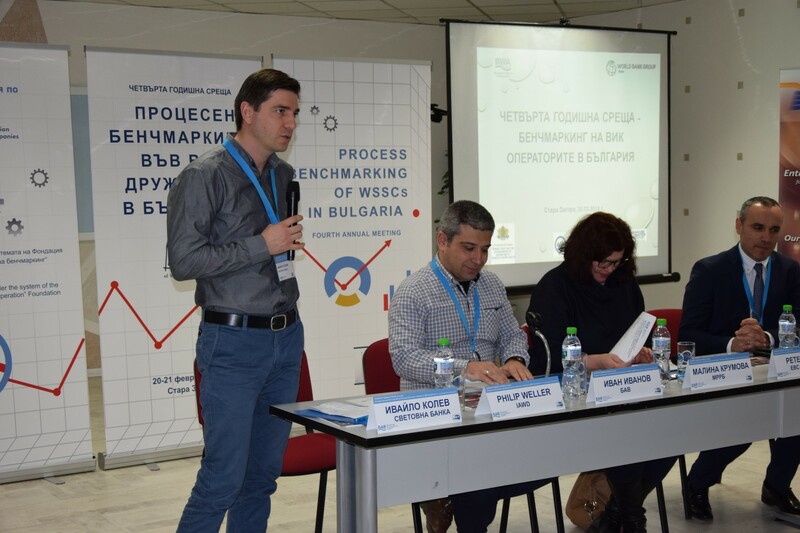 For four years that process is available for the regions of Bulgaria, Former Republic of Yugoslavia, Ukraine, Kosovo and Albania.